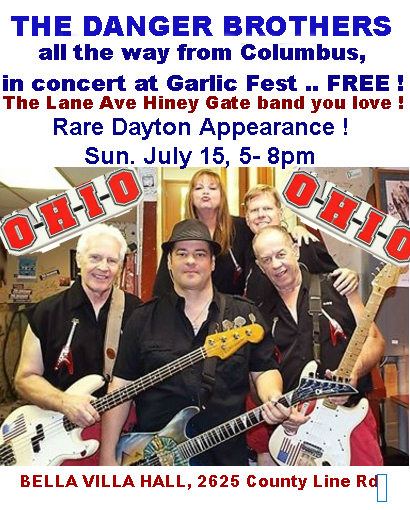 Dayton Most Metro has EXCLUSIVE scoop on a free concert coming to the 2017 Garlic Fest Saturday evening, July 22nd. 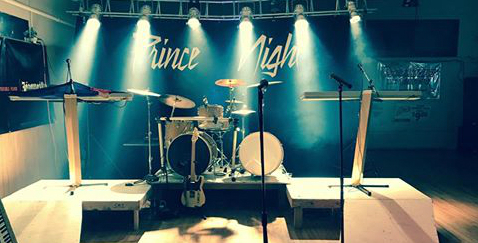 A Prince Tribute band out of Chicago and Columbus, called “Prince Night” will perform hits from “Cream” to “Little Red Corvette,” and everything in between. There may even be a Sheila E. and Appolonia song or two. 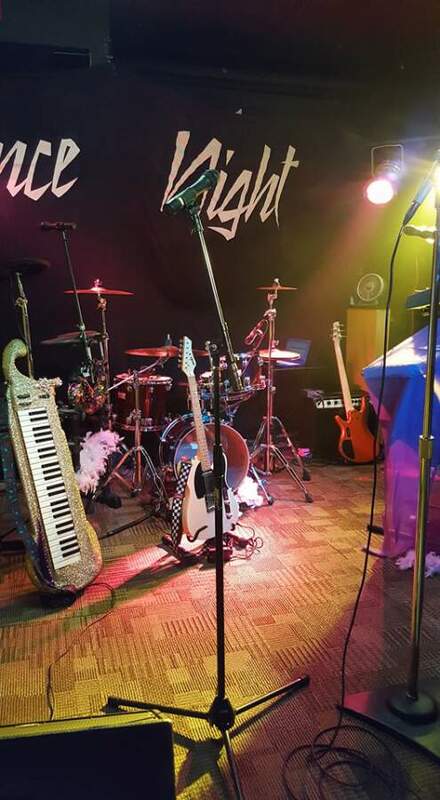 The band is set to hit the stage Saturday Night July 22nd at 7:30pm. Many of you may know this site from September’s Italian Fall Festa, Dayton’s annual Italian Festival. FYI no pets are allowed on premises due to insurance reasons. Come out to the Garlic Festival for an unforgettable night of Food, Adult Drinks, Music, and more. 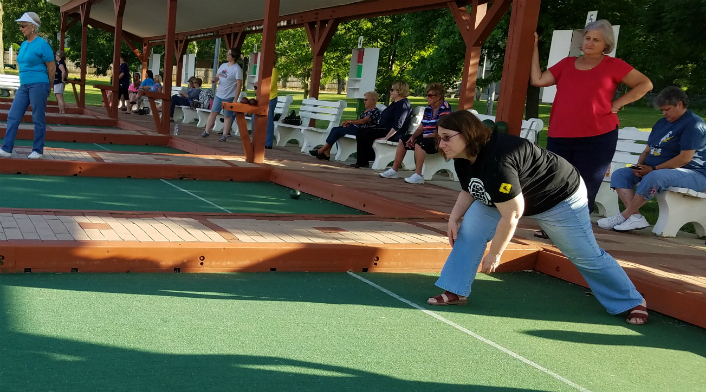 The Bocce Classic will also be underway, so you can watch one of the biggest Bocce Tournaments in the nation kick off. 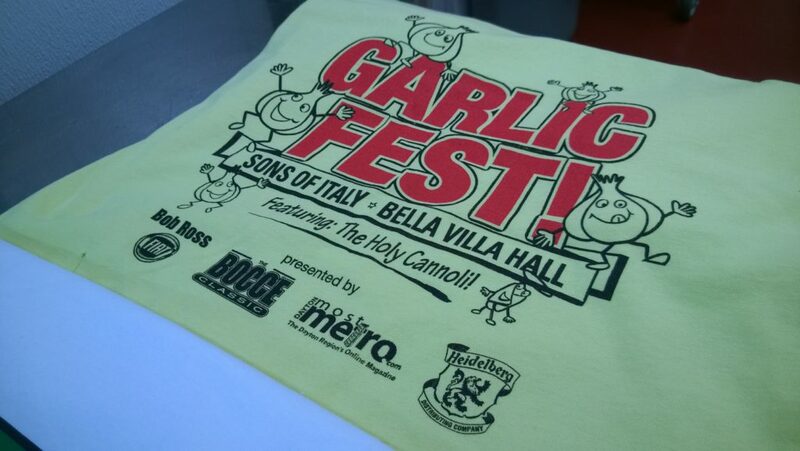 Garlic Fest is part of a huge weekend at the Sons of Italy lodge. Here is a breakdown of the weekend’s festivities. 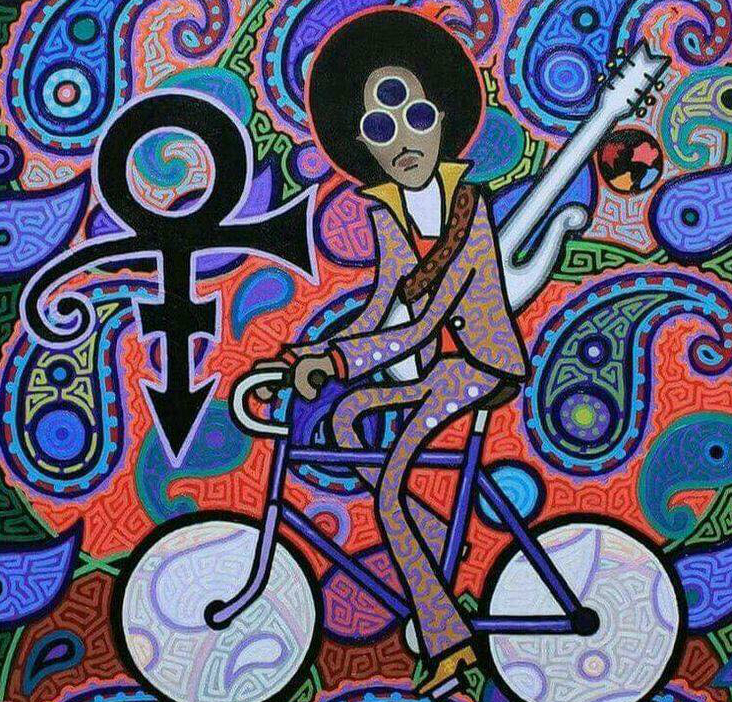 All the songs you love from Prince ! 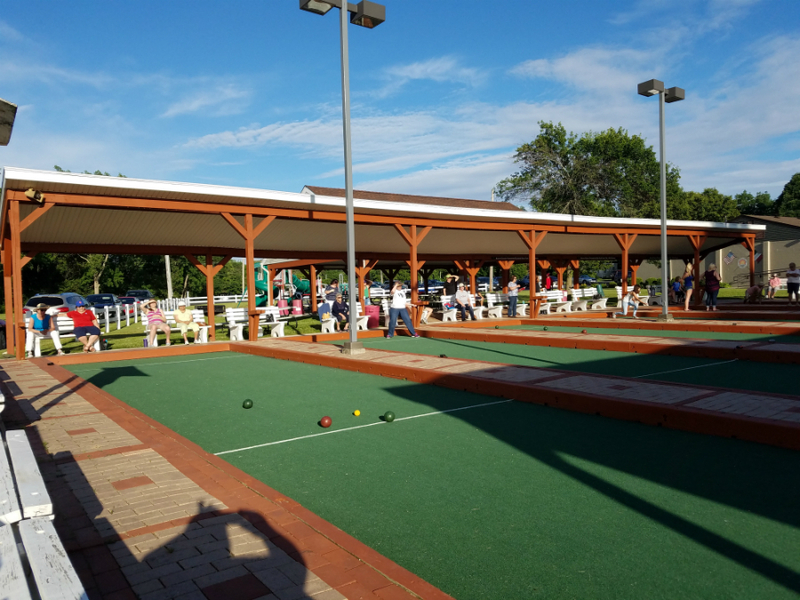 -Beginner Bocce Ball Tournament called the “Bocce Bash” This is for charity and some local celebs will be on hand. We need teams! 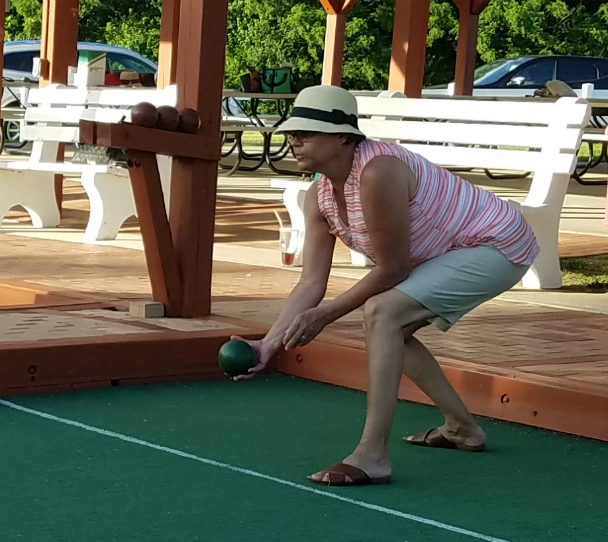 Sign up here, but you must be a complete bocce beginner ! We expect a big, fun crowd for this festival! SUNDAY JULY 23rd 9am – ? Tiem for a FOOD ADVENTURE ! 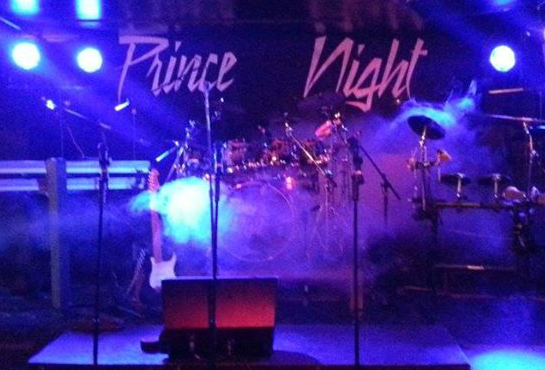 The magic of PRINCE NIGHT begins July 22nd …. FIRST CONCERT IN OHIO ! 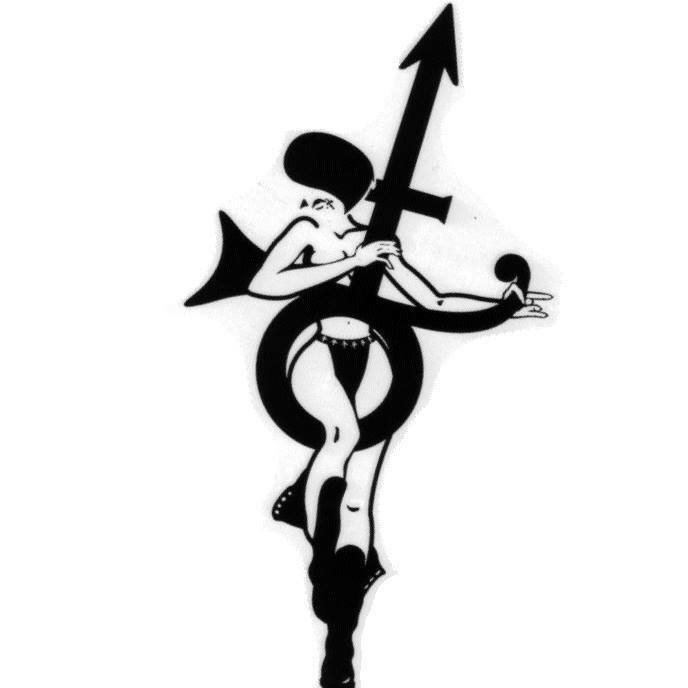 PRINCE FANS and 80’s MUSIC LOVERS ! 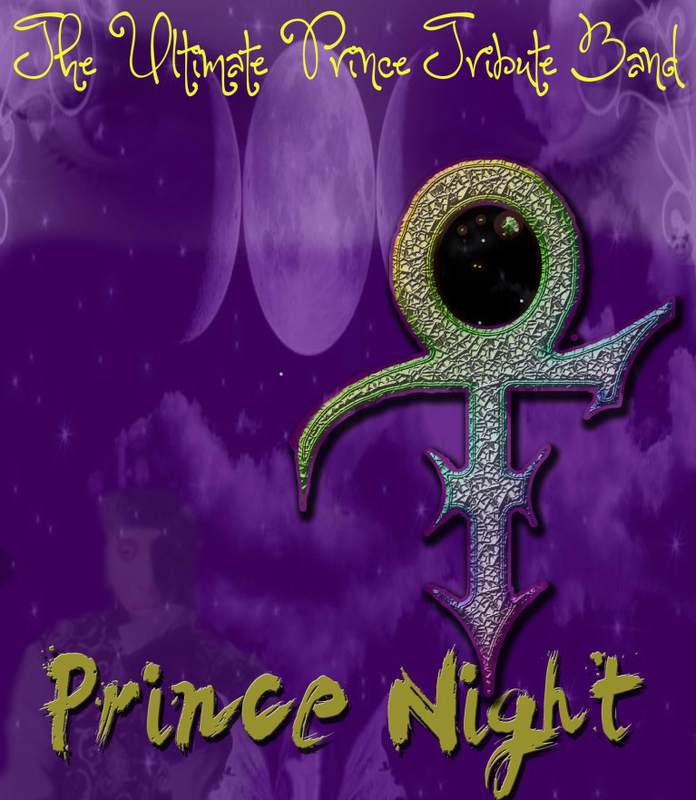 Purple for the night …. Bacon Wrapped, Grilled Chicken Legs. Another exclusive scoop for our Food Adventure fans. 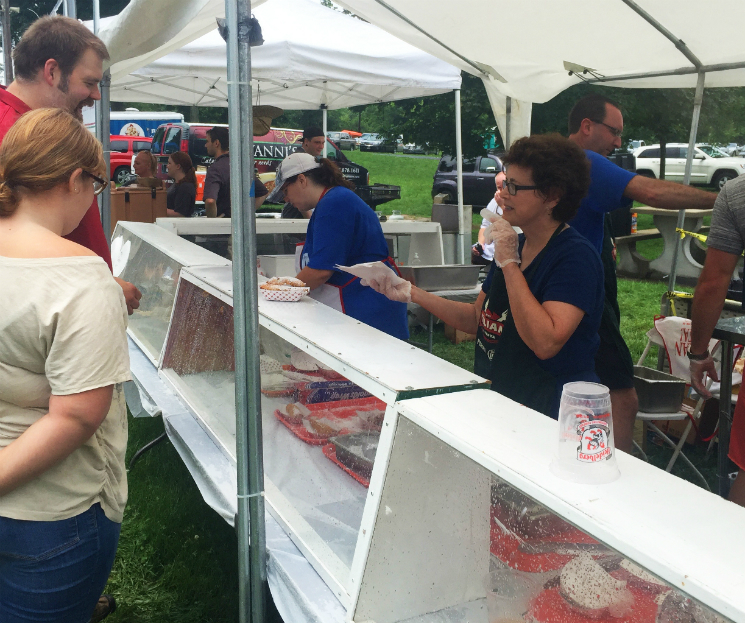 Sons of Italy Lodge, Dayton Most Metro and Dayton Dining have finalized the food vendors for Sunday’s Garlic Fest. Are you a foodie? 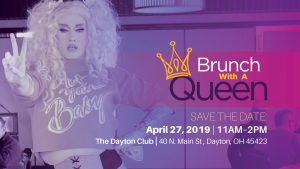 Then Daytonians, this weekend is your chance to eat, drink and be garlicky all while listening to one of Columbus’ favorite bands, The Danger Brothers. Cooking Demos, beer, garlic eating contest and craft vendors fill out an all star lineup..
Fasten your garlic burps, here we go !!! 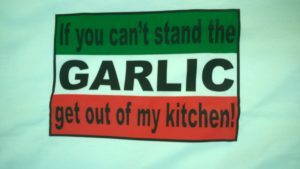 — GARLIC EATING CONTEST 4:45pm by the stage – Prize money is $100.. can you beat the competition ??? 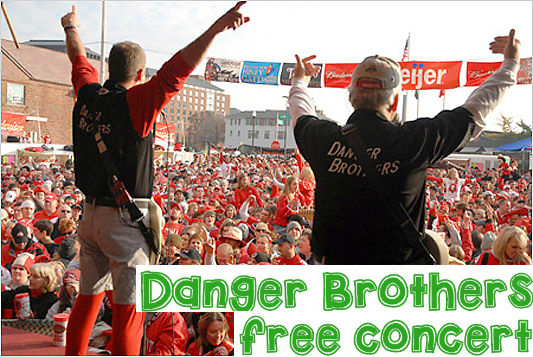 — FREE CONCERT by THE DANGER BROTHERS 5pm – 8 pm – a RARE Dayton appearance by the band you know from Buckeye’s games Hiney Gate Parties on Lane Ave. PARTY ROCK N ROLL at its most fun – HANG ON SLOOPY – Could be the biggest O… H.. I … O chant in Dayton history. 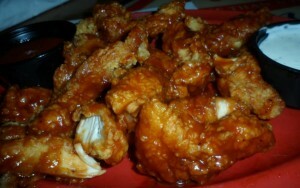 1) FRICKER’S – We smell garlic chicken on the horizon! Dayton’s chicken experts roll the truck in for some good eats. 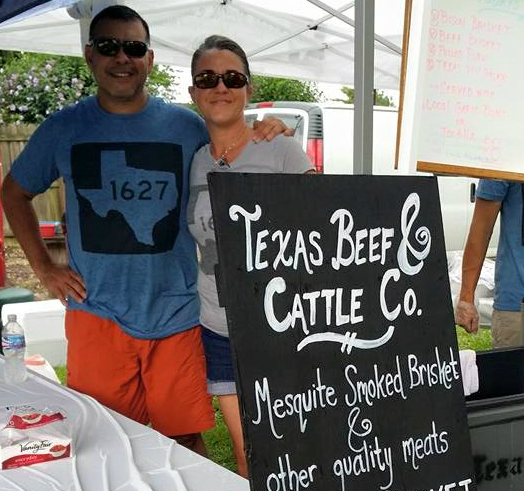 2) TEXAS BEEF AND CATTLE CO. – Slow cook BBQ experts on the premises.. We expect garlic rubbed brisket among other slow smoked specialties. Meats! Meats! Meats! 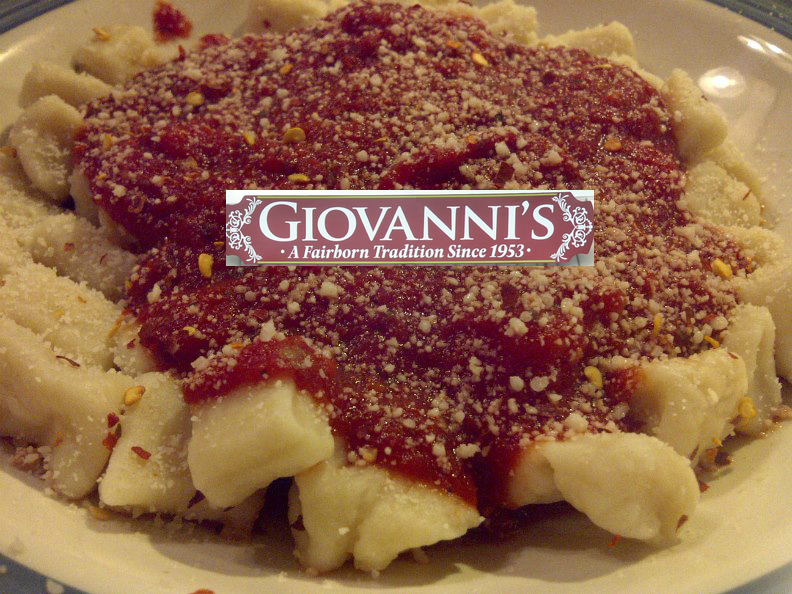 3) GIOVANNI’S – Fairborn’s legendary Italian restaurant brings the garlic eats. Expect some hearty, filling menu items here. 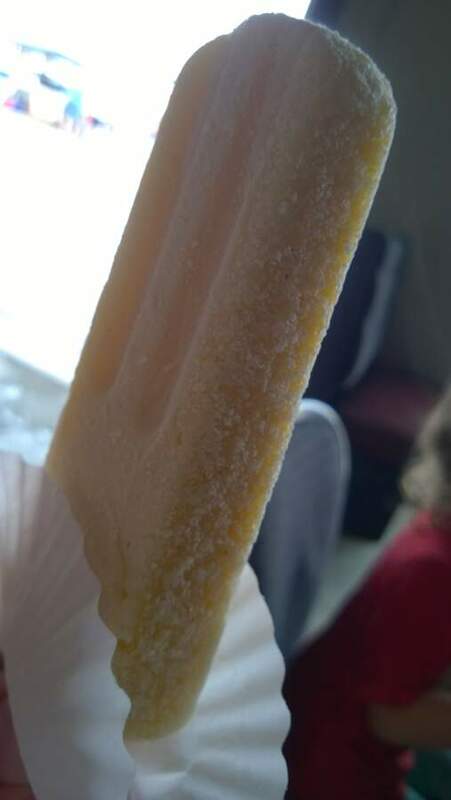 4) SWEET P’S HANDMADE ICE POPS – Fruitty, fresh and COLD. This will cool your hot head and your mouth will thank you. 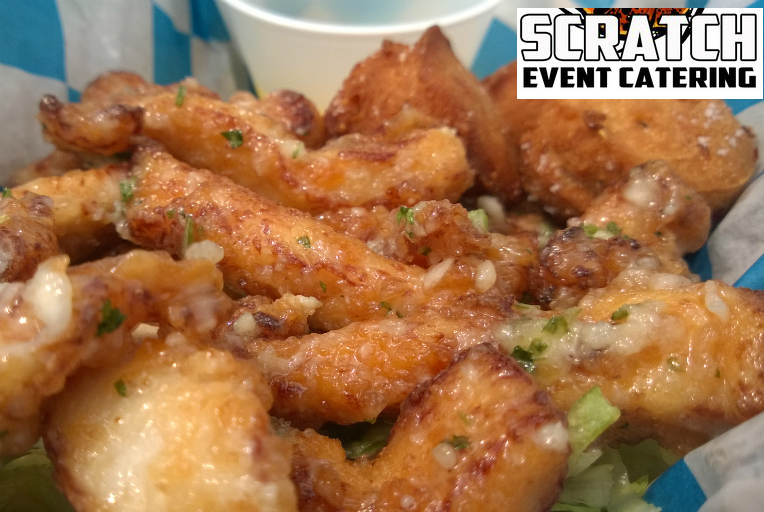 5) SCRATCH CATERING: Their garlic chicken tenders stole hearts last year. What else do they have in store from Chef Hayden? tzatziki sauce. Get some ! 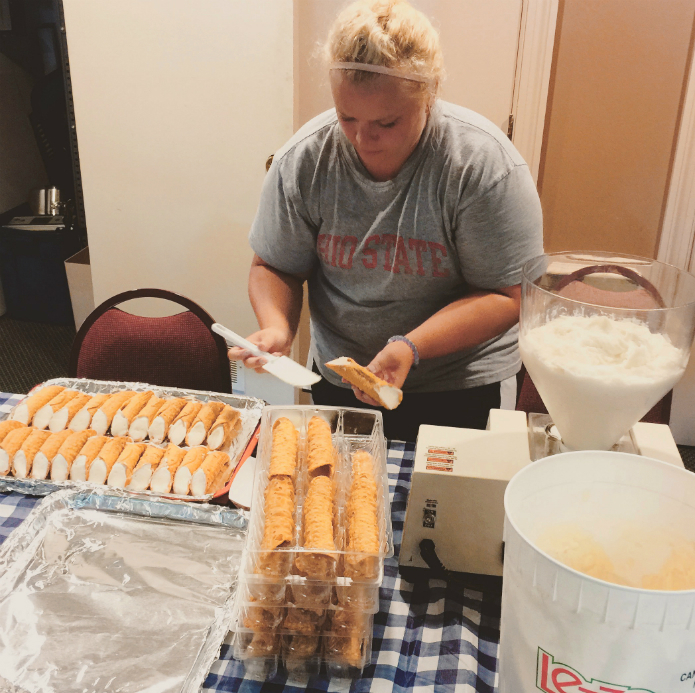 7) THE HOLY CANNOLI BOOTH – The Italian club is deep frying cannoli and sprinkling chocolate on top. A religious experience in taste! 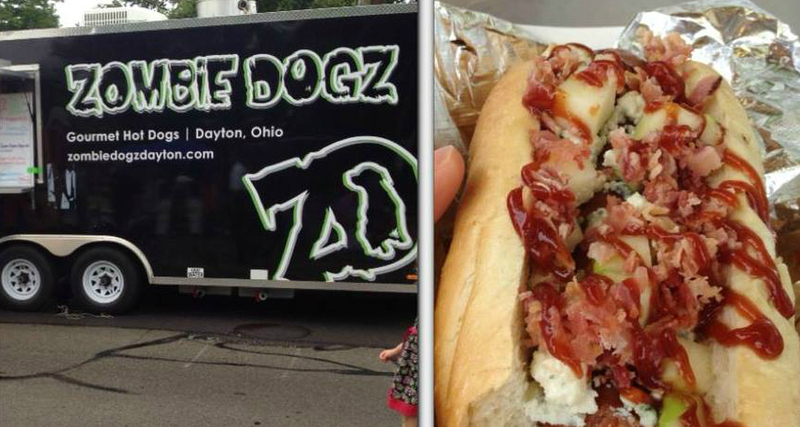 8) ZOMBIE DOGZ – The king of Dayton’s Food trucks promises 2 never before done flavored hot dogs ! STAY TUNED ! 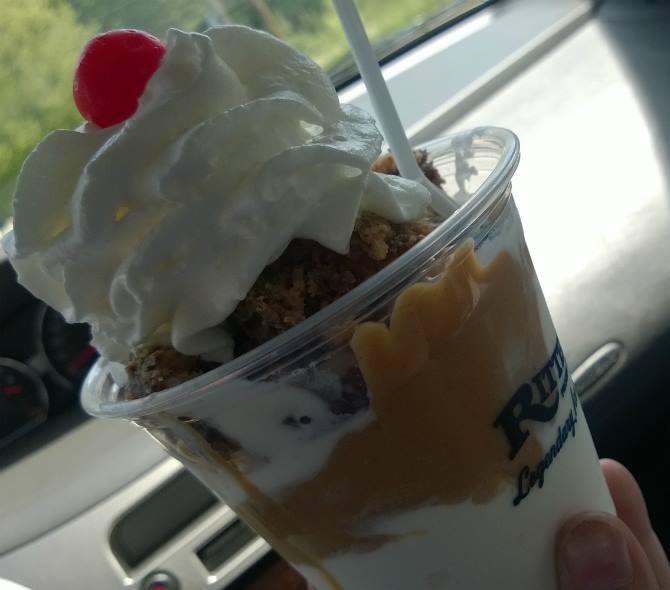 9) RITTERS FROZEN CUSTARD: Cool sundaes loaded with toppings and sauces. If you dont get whip cream on your nose, it doesn’t count. 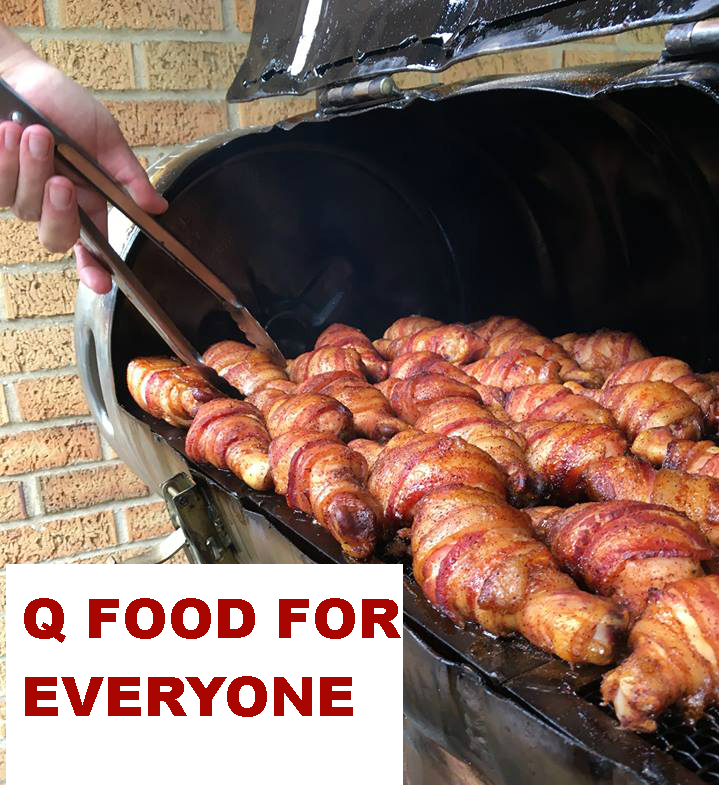 10) Q FOOD FOR EVERYONE: Bacon wrapped chicken legs, Garlic shrimp and salmon are the possible choices here with BBQ. 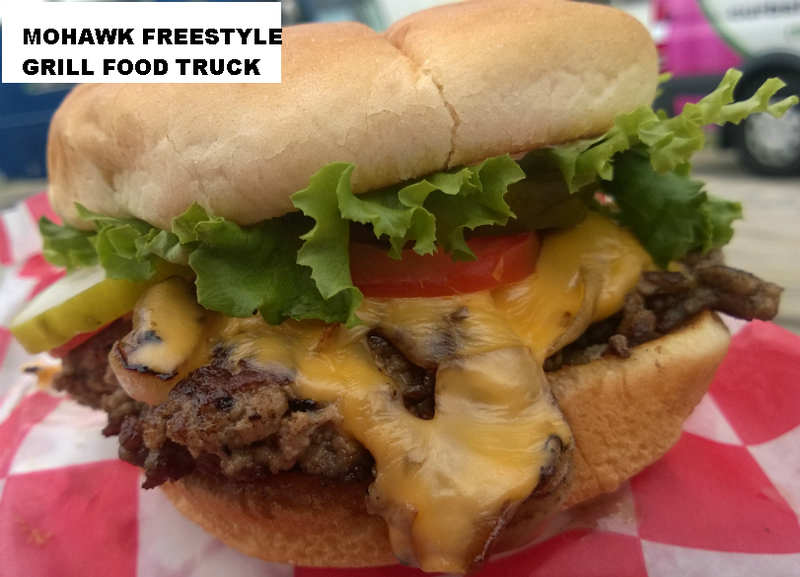 11) MOHAWK FREESTYLE GRILL: Garlic Mohawk Burgers and more! More than a mouthful and so juicy. Chef Aaron wont dissapoint you! 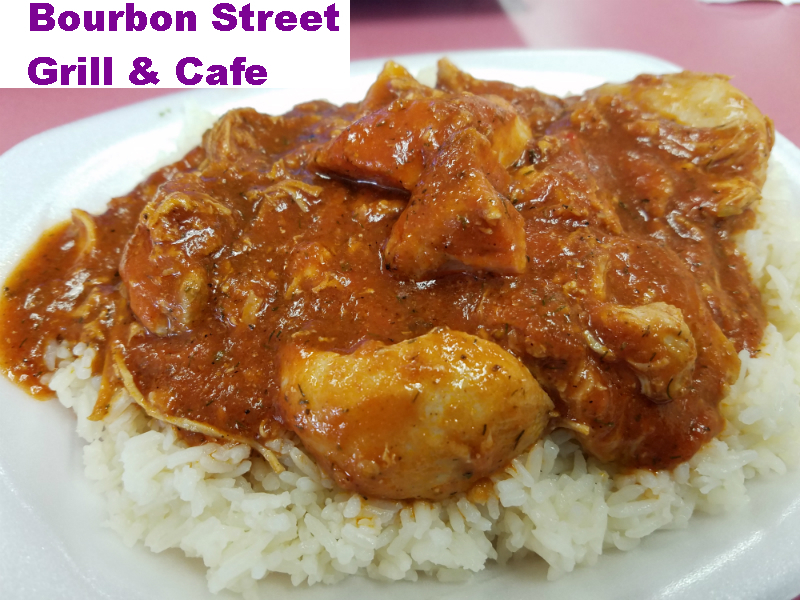 12) BOURBON STREET GRILL and CAFE: Spicy chicken or Bourbon Chicken all made with garlic and poured over your choice of rice. 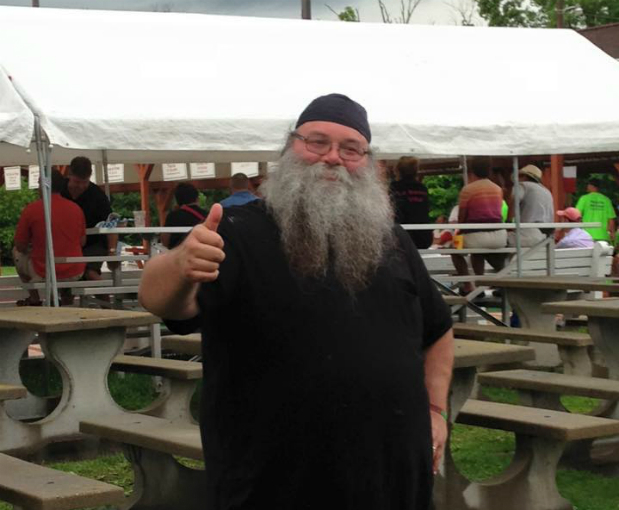 13) MAMMA DISALVOS – Who better to do garlic fest than these guys? We expect garlic pasta and more from this Italian crew. 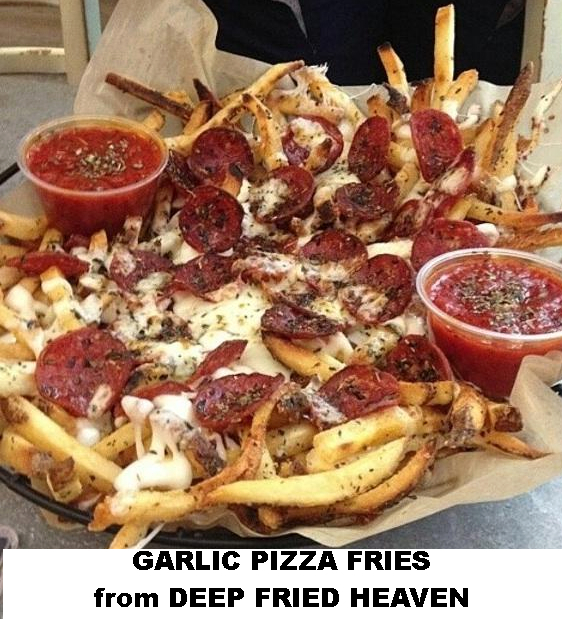 14) DEEP FRIED HEAVEN – From veggies to garlic pizza fries, these guys are gonna deep fry some delicious specialty items. 15) KOWALSKI HOTS: In upstate New York they say “hots” instead of hot dogs. This guy grills red and white hots, not spicy just hot dogs and brands you can only find in upstate New York. As for garlic sauce or coney sauce. 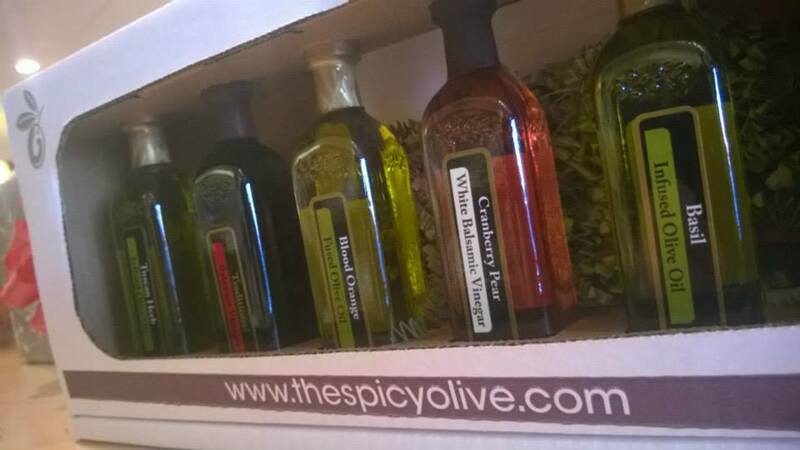 1) THE SPICY OLIVE: Garlic infused olive oil and more flavors ! 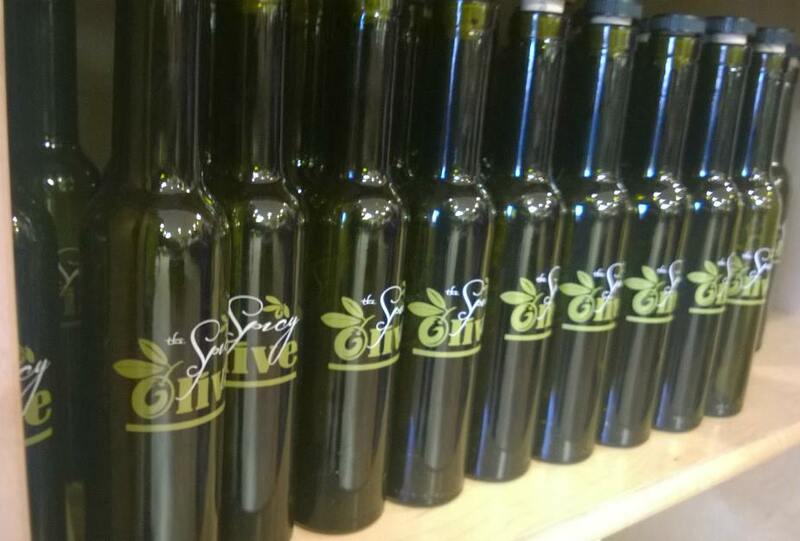 Fresh Olive oil guaranteed. 4) SCENTSY: Wickless candles, electric warmers and flavored waxes. Wonderful fragrances. 5) SERVANTHOOD STICHERY: Unique crafts and puzzle lamps. Defintely worth a visit. 6) NERIUM INTERNATIONAL: Age defying skin creams and moisturizers. Look young while eating that garlic item. 7) LOVE HARVEST BODY ART: Face painting. 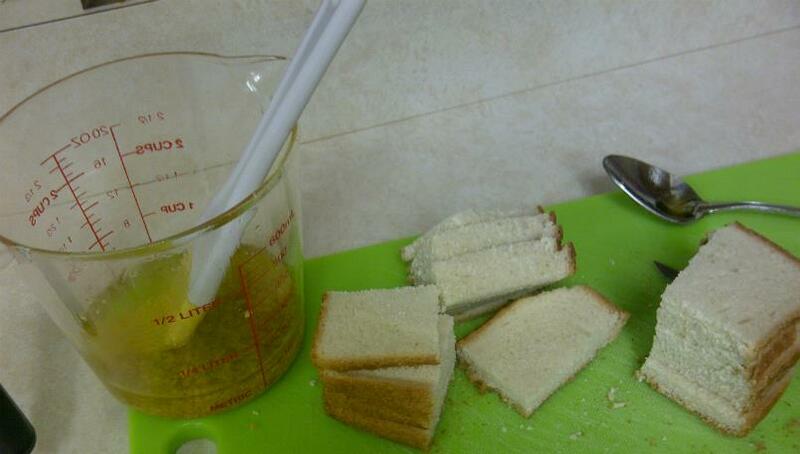 Kids love this stuff and what adult wouldnt look good with some garlic on their cheek. 8) PAINTED HORSE STUDIO: Clay art and hot sauces. A local art teacher and her husband have some unique items for sale. You may have called him Santa. You may have heard him on the Gem City Podcast. 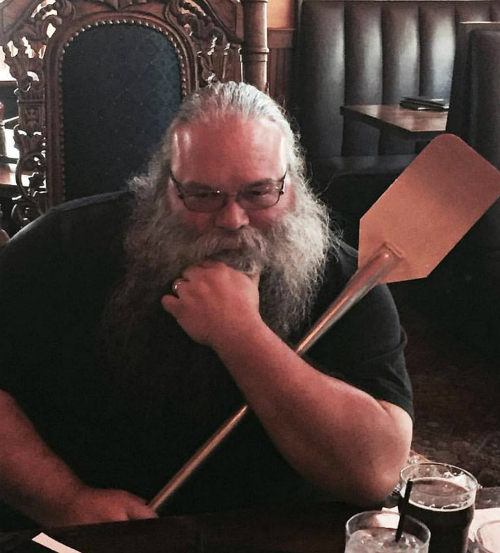 You may have seen him on Youtube with “Epic and The Beard.” Mark DaGrossa is one of those Daytonians who you see everywhere. 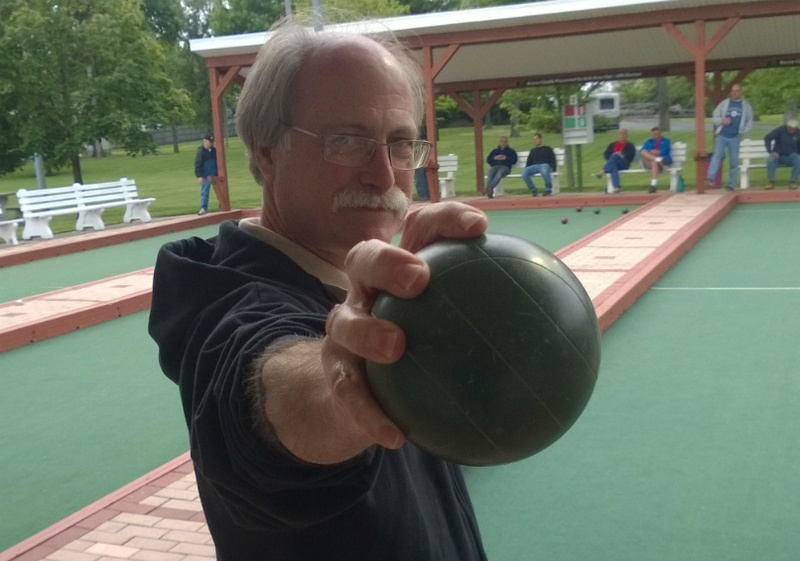 Whether at the Italian Club playing bocce, working a festival, or on a Food Adventure at one of his favorite restaurants in Dayton, Mark is always on the move. Besides working for Folio DesignHaus, Mark is a dedicated husband, son and father, a family man if you will. The Holy Cannoli is a lot like bigfoot. It is mysterious and not many people have seen it…. 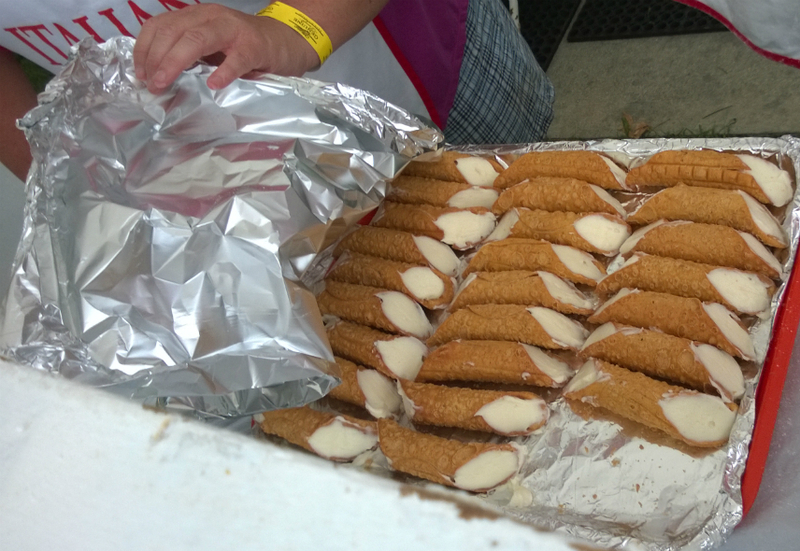 Monty Python had the Holy Grail and the holy hand grenade, but Garlic Fest has the Holy Cannoli ! — What is a Holy Cannoli? It is a cannoli shell filled with ricotta cheese and cream, sometimes garnished with chocolate chips, that is dipped in breading and deep fried on the spot. The result after a few minutes is a gooey, gorgeous, piece of heaven. 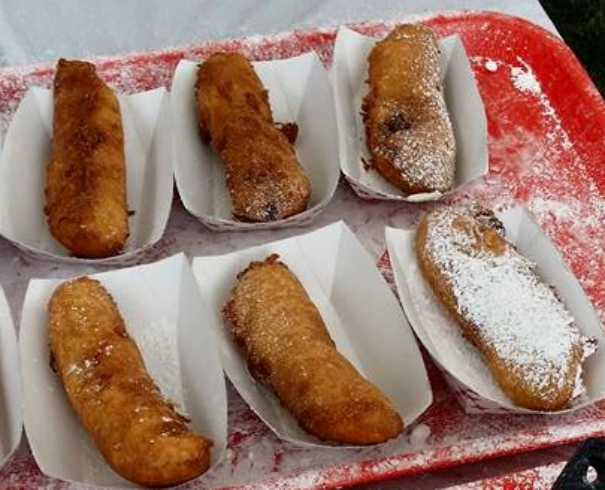 — Long time Sons of Italy member, Kevin Sorice actually came up with the idea of a deep fried cannoli. So let’s give credit where credit is due. — Where can I get a Holy Cannoli? 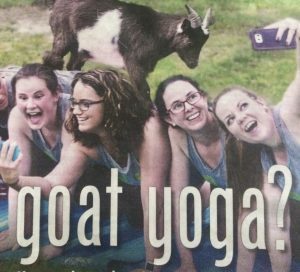 The answer is at GARLIC FEST, SUNDAY JULY 17th from noon-9pm. Mark your calendar for this one. 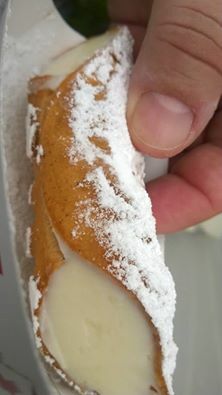 The HOLY CANNOLI is a “MUST EAT” on Garlic Fest Weekend come enjoy the 3 day event and make your own Food Adventure ! 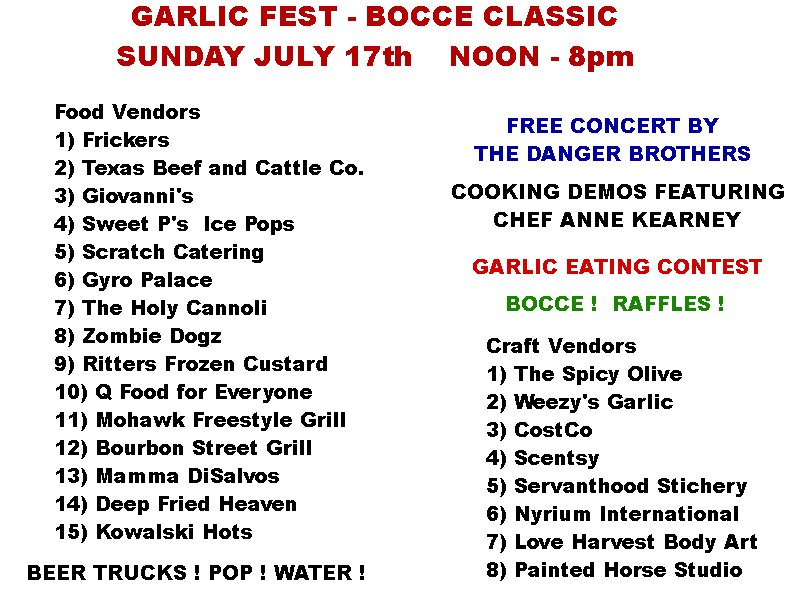 — SUNDAY JULY 17TH – GARLIC FEST – FOOD VENDORS, COOKING DEMOS, BEER TRUCKS, FREE DANGER BROTHERS CONCERT, BOCCE CLASSIC FINALS, GARLIC EATING CONTEST, GARLIC QUEEN, and more! 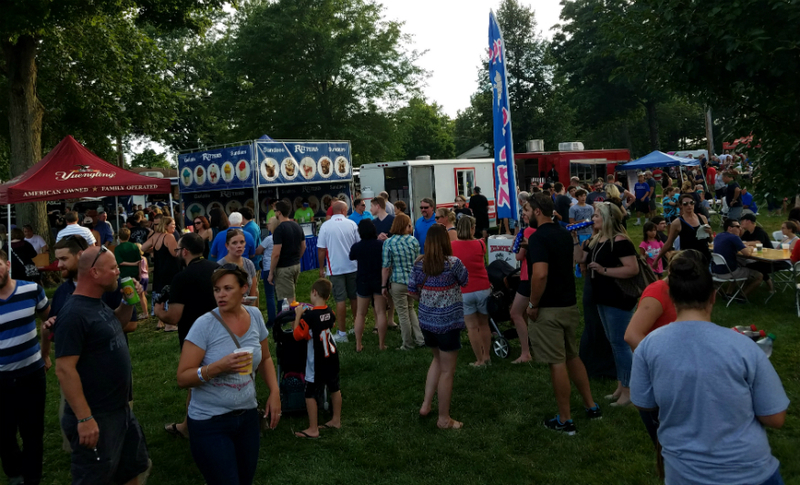 Admission is FREE so join The Big Ragu, Chef House and Hungry Jax at the Food Truck Rally and Garlic Fest on July 15-17th. Meet the man, the myth, the legend.. Mark DaGrossa.. “The Man who dip-eth the Holy Cannoli.” Make sure you order some of this sinful goodness. They are rich, delicious and they melt in your mouth! It is a religious experience and a great invention! 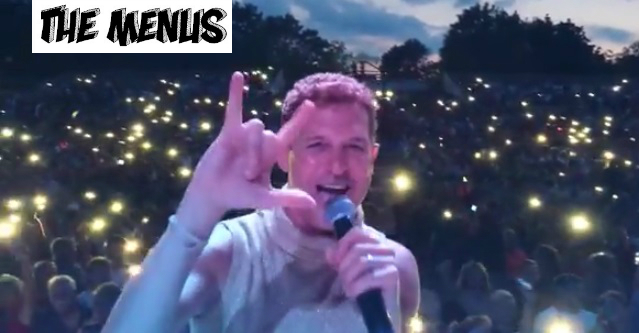 Thanks to Mark and the workers in the booth, without you, they are just plain cannoli…. 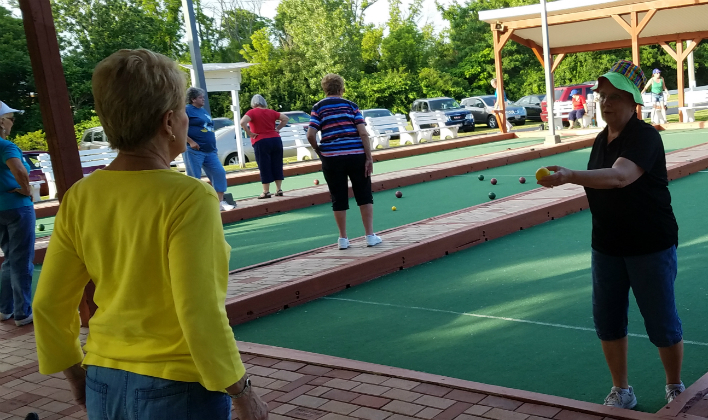 If strength is in numbers, then bocce ball is alive and well in Dayton, Ohio. 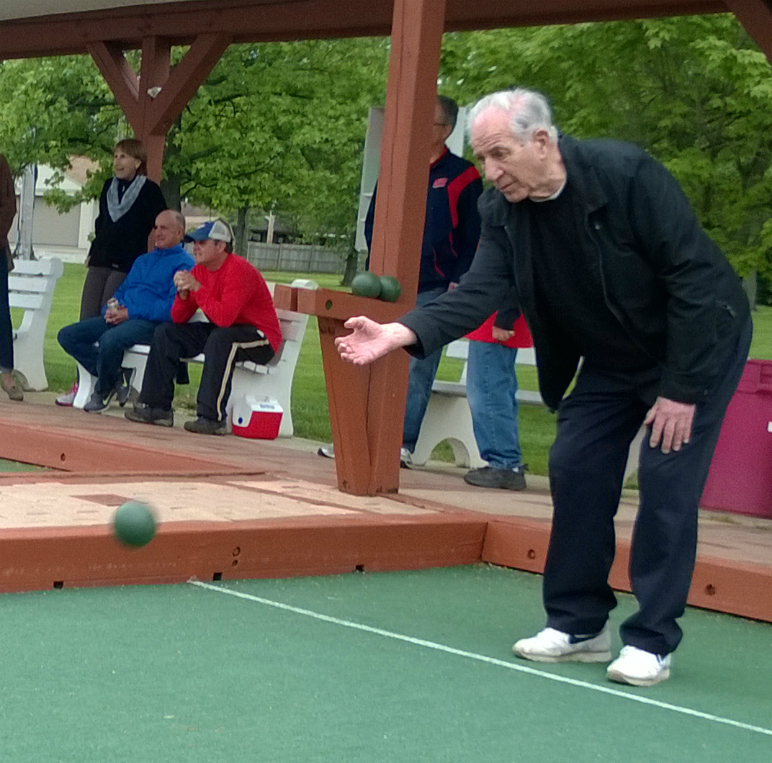 You may remember we did a story on the Sons of Italy, Bella Villa Hall’s men’s bocce league. Well move over fellas, it is the ladies’ turn! 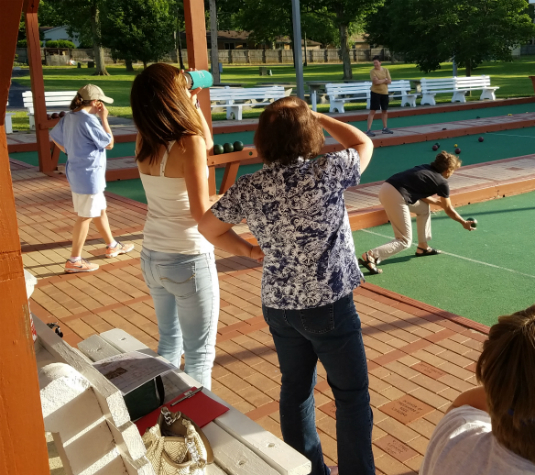 Thursday’s in the summer, the bocce courts are ruled by the women. 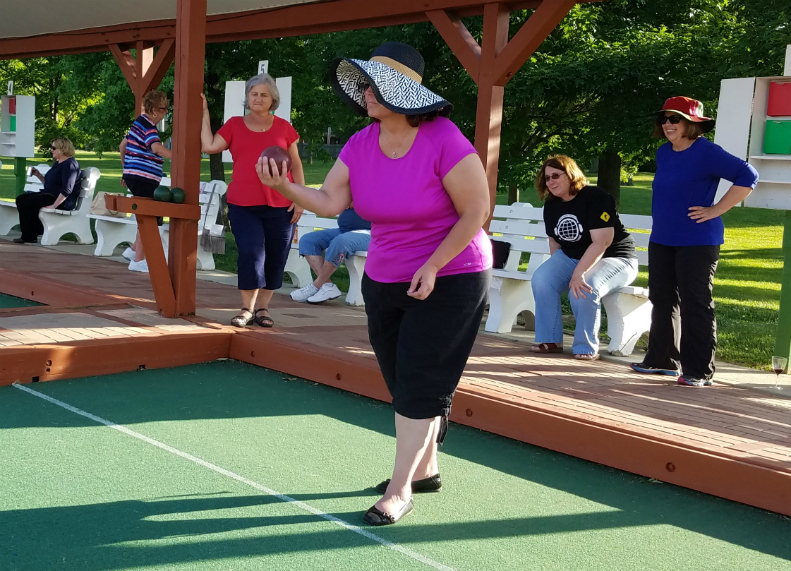 — The Women’s bocce League plays Thursday nights, during the summer. — The league started in 1979, with 2 dirt courts. Now they are turf and much easier to maintain. 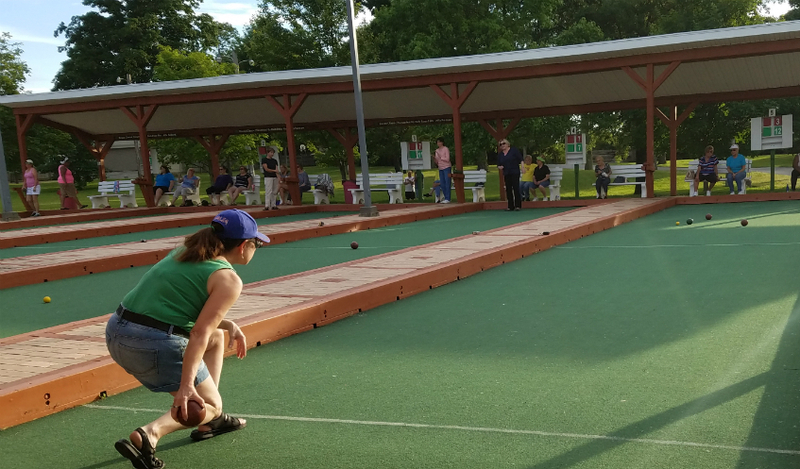 — Currently, they have about 12 womens bocce teams with 4 players on each team. 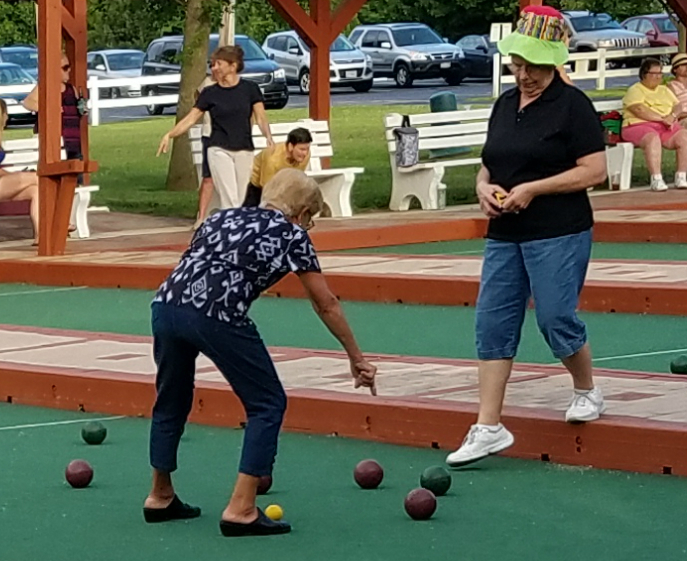 There are about 50 – 60 lady players in the Dayton area. — A year end banquet, each year is planned to pass out awards. Food Adventures is sure some incredible Italian food is served. As we watched the matches and talked with the ladies, there were lots of cheers and jeers going on at different courses. One thing was for sure, these people were having fun. Some wore fun hats, while others had family members cheering them on. Sometimes there are snacks and at special events there are food and beer booths. 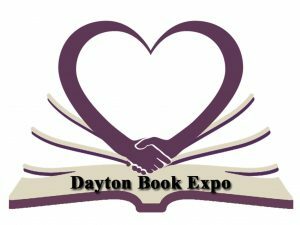 We met some great Daytonians and we want to share them with you. 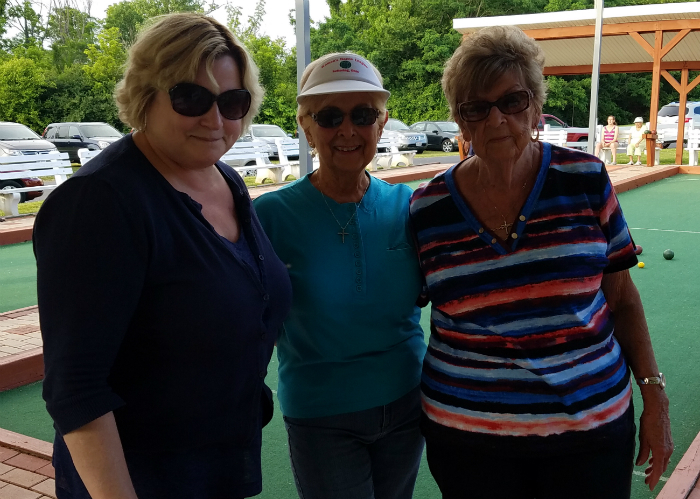 So here are some of the Dayton Women of Bocce Ball ! — ELDORA PERFILIO: She says she is out here to compete, but doesn’t take it as serious as some. 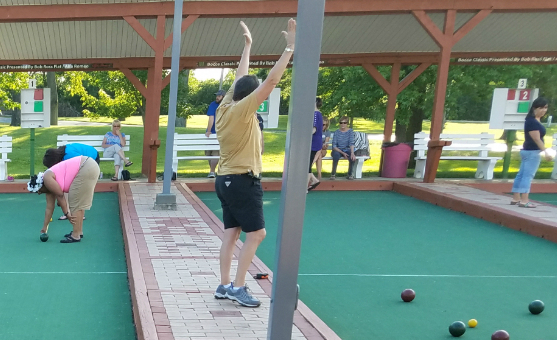 Eldora says she comes for the fun times and friendly people in the league. 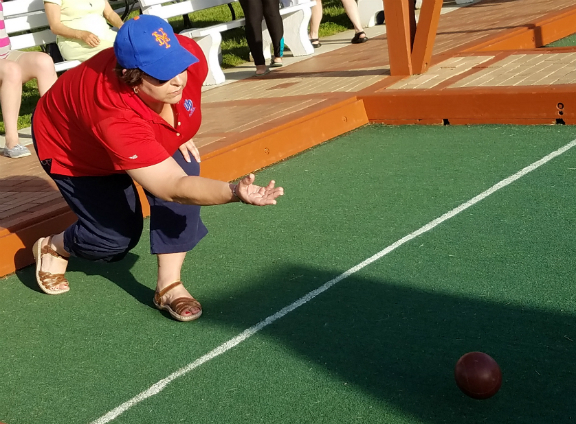 — MELODY SORICE-KNOSTMAN: Melody has been playing bocce ball in the back yard, since she was a kid. 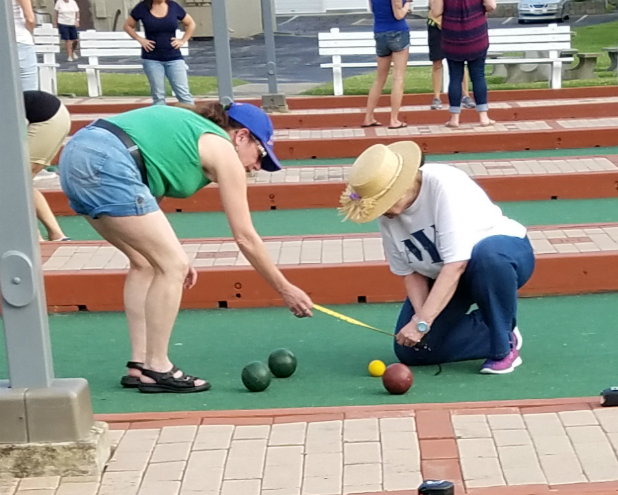 Her favorite part of the bocce legue is getting to spend time with the ladies. There were definitely a lot of laughs on Melody’s court as they were having a great time. 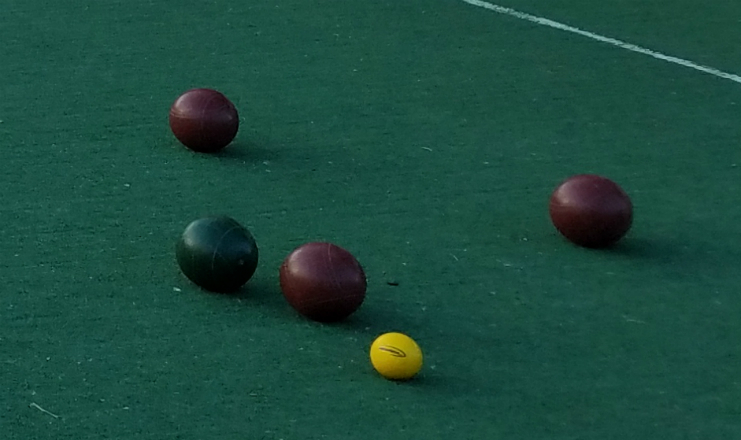 knowledgable about the bocce sport. — MARIA NAPIER: Maria agrees that it is all about having fun. 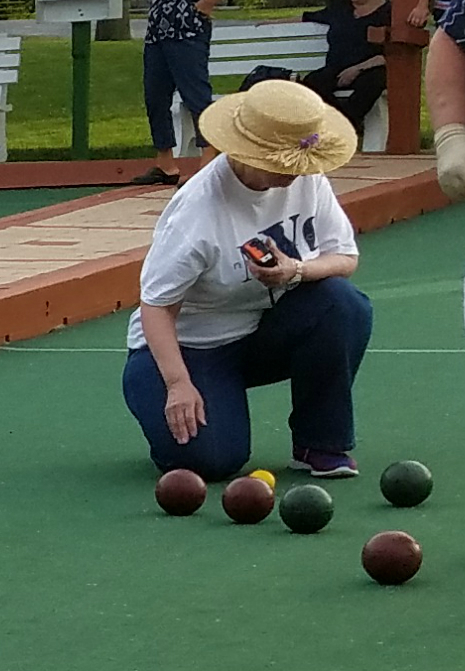 She has been playing for 2 years, and says it is a great time. 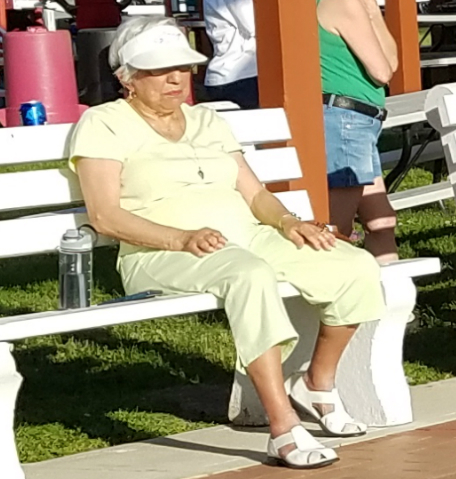 She also enjoyed a cold adult beverage on the hot summer evening. That seems to be the theme. 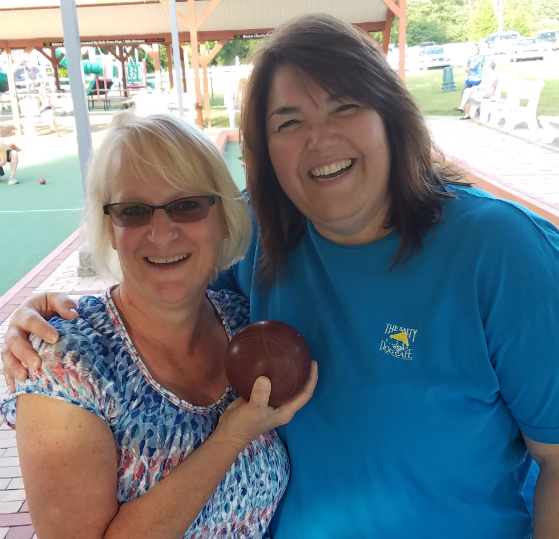 Fun times, good friends and anyone can play bocce ball. Any age, man or woman can adapt fairly easily. Whether you are a beginner or playing for years, you can still compete with anyone and have fun. 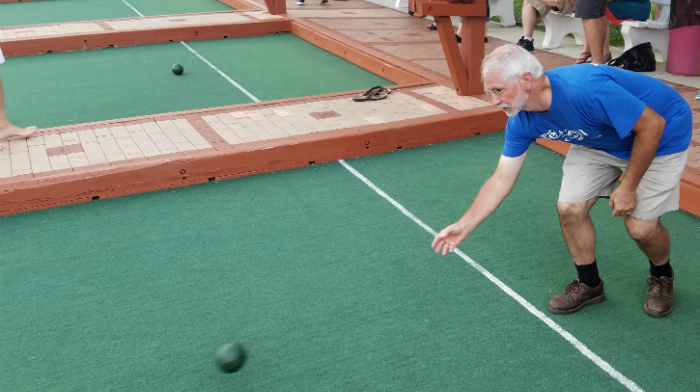 Bocce is a simple game to learn, it is a cross between shufflebord and bowling. The rules are simple. you first roll a little yellow ball called a “pallino” to the far end of the court. 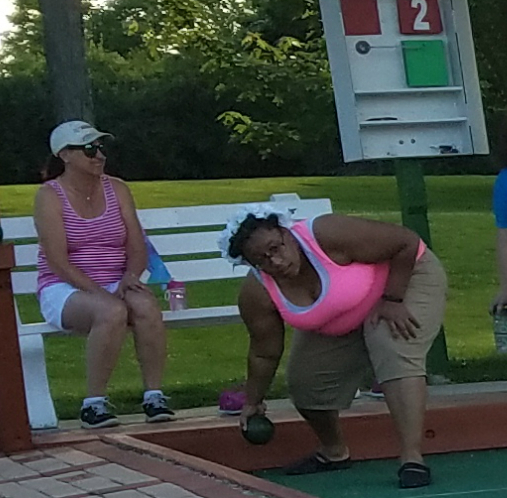 You then try to get your bocce balls closest to the small yellow ball as possible, while your opponents do the same. Whoever is closest to the “pallino” earns points and thats how you win the game. Typically you play until someone has 21 points. It is easy to get the hang of it and you will be addicted in no time. 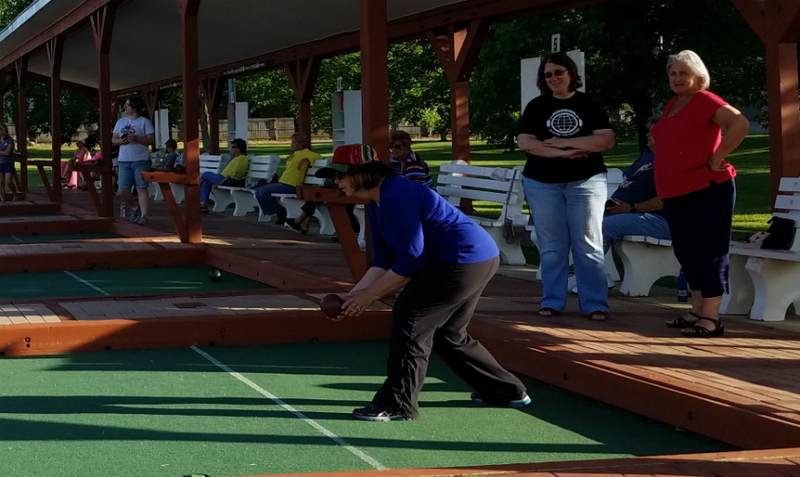 If you would like to play bocce ball, there are 2 fun events coming up that are open to the public. 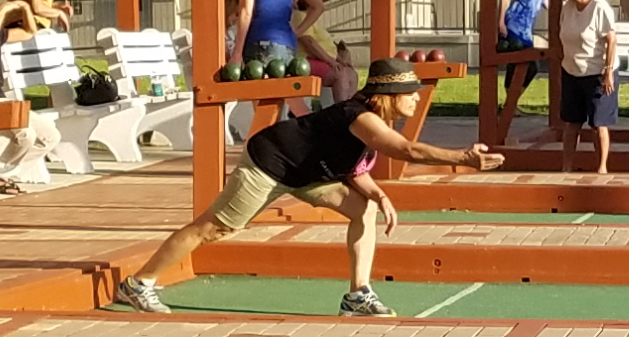 THE BOCCE BASH is for Beginners. It will be played Friday, July 15th during the Sons of Italy Food Truck Rally. 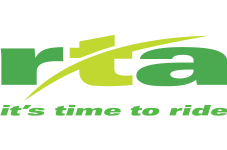 Teams of 4 can sign up to comepeter for a $200 grand prize. The Signup sheet is HERE. You do not have to be a member of the club to play in this event. For the 2 events above, there will be food vendors and beer trucks, and even some live music! Just want to observe? Admission is free to come and watch. Eats and drinks are available for purchase by anyone. 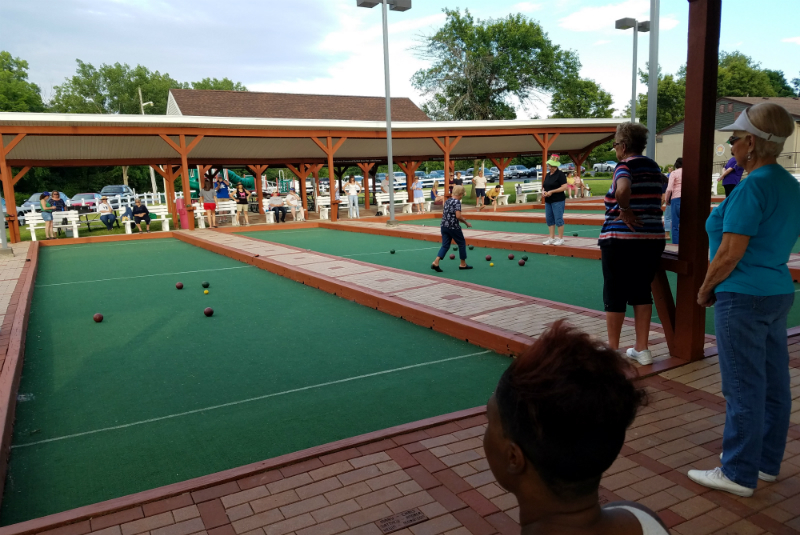 Take the weekend of July 15th-17th to play some bocce, have a few beverages, and taste some of Dayton’s best food. You may even see the Food Adventures Crew at the Food Truck Rally and Garlic Fest the same weekend. 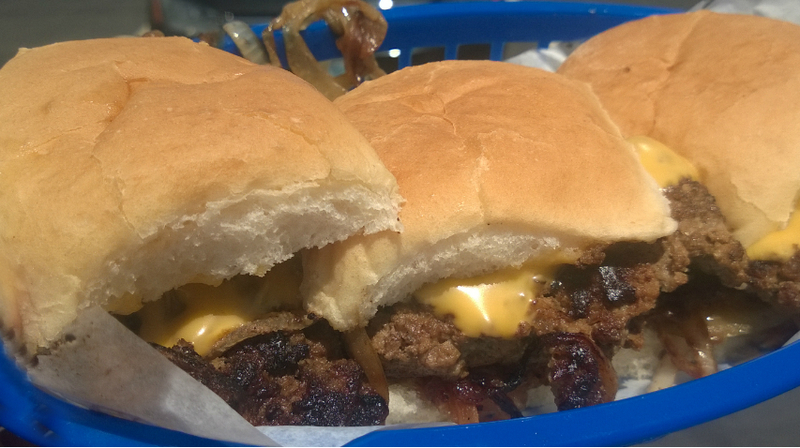 For more Dayton food info, follow Food Adventures on Facebook by clicking HERE. Jackie “Hungry Jax” Scanlan, LeeAnne “Chef House” and Steve “The Big Ragu” Milano promise a cooking class like no other on Friday night August 14th. This event will be a mix of a party, a cooking demo, trivia night and some prize giveaways. The night is going to be as wild as Donald Trump’s hair ! 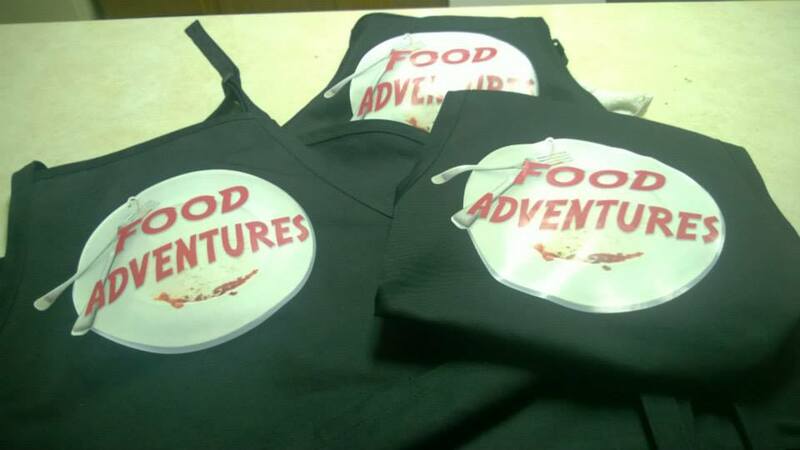 The “Party Foods” class marks the first time that the Food Adventures Crew will be taking over the Culinary Center at Dorothy Lane Market in Washington Township. And it looks like a good one, filled with wine and beer as well. 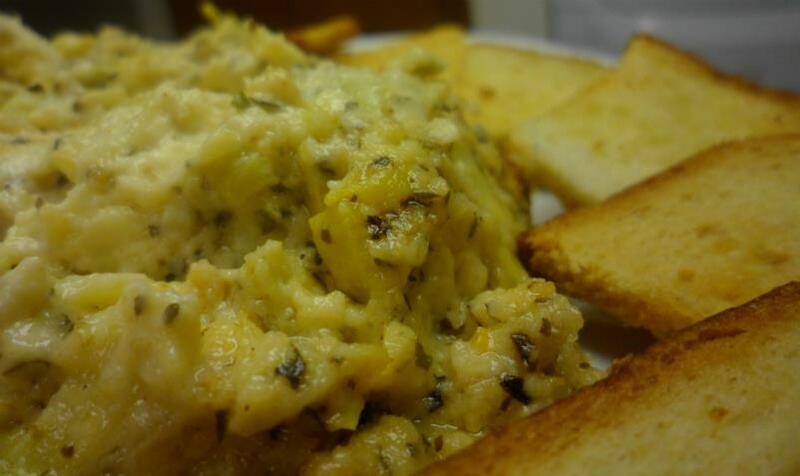 Food Adventures is a popular Dayton food blog, with over 5,400 loyal Facebook followers. The trio of foodies is also known for their weekly articles on DaytonMostMetro .com that feature anything from mom and pop local restaurants, to festival events, recipes or foodie tips! 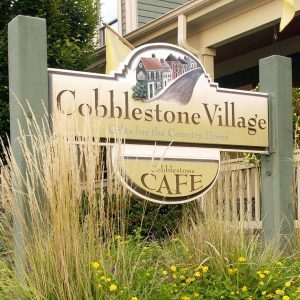 From time to time the Food Adventure Crew will host dinners at local restaurants to spotlight a great place that you may not have heard about. They partner with area festivals, food happenings and even support over 50 charity events, every single year. Much more than a free Instagram account they even have one of those (#Dayton_Foodies) and a Twitter following too (@Food_Adv) ! You can also visit their website www.DaytonFoodies.com for a list of upcoming appearances. 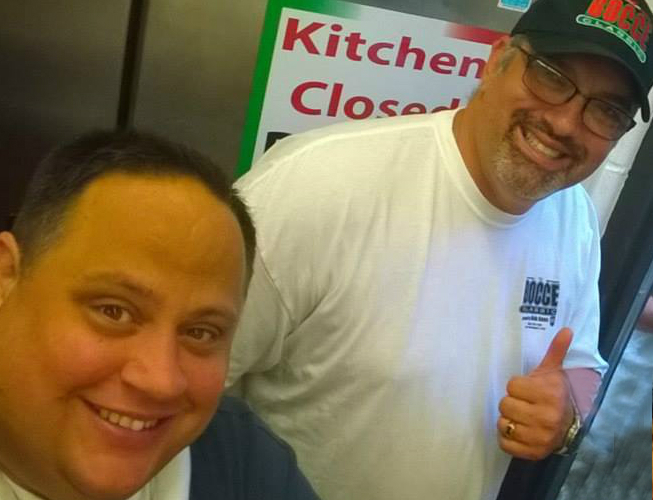 Hungry Jax, Chef House and The Big Ragu are proud to be a part of this year’s DLM Cooking Schedule, and due to the overwhelming response, we will be back in the fall for yet another class! But let’s not get ahead of ourselves…..
HERE’S THE SKINNY on the AUGUST 14th CLASS ! WHAT: Party with the Food Adventures Crew ! 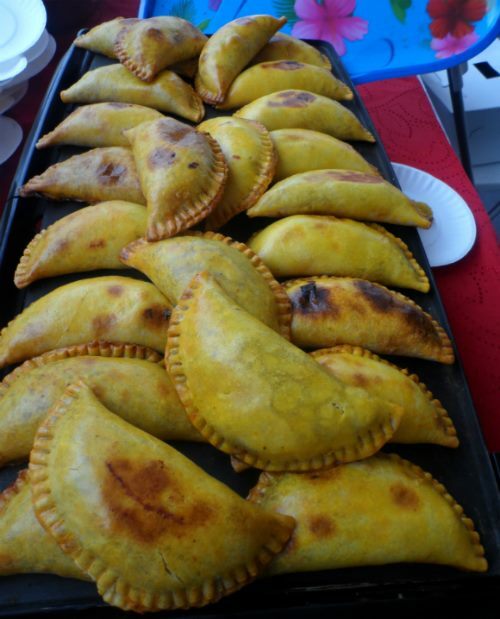 A cooking class featuring the secret recipes of The Food Adventurer’s favorite party foods ! WHERE: 6161 Far Hills Avenue, Centerville, Ohio. Located right next door to our Washington Square store. COST: $75 per person, tickets may be bought by clicking HERE. Limited seats are left as we are approaching a sellout…. — This menu will be paired with beer and wine. 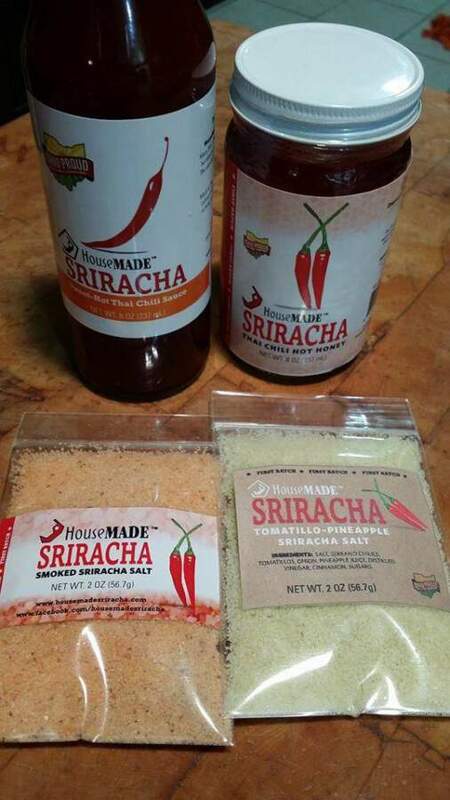 Some of these recipes even feature Chef House’s, locally made, HouseMade Sriracha which is available on Dorothy Lane Market shelves. Come hungry and ready to have some fun. The Culinary Center will never be the same…. 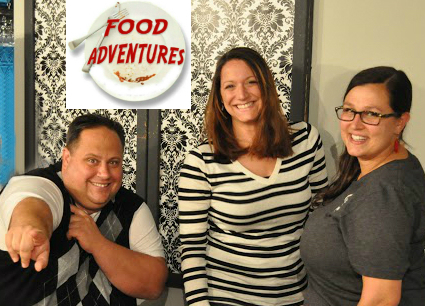 Meet the Food Adventures Crew ! Jackie relocated to the Dayton area in 2006. This Italian girl from Upstate NY found herself in a very different culinary atmosphere than what she was used to back home in Utica, NY. However, different proved to be good a she fell in love with not only this “gem” of a city, but also the food and foodies within it! Cooking is a passion of Jackie’s. She loves to use her husband, John, and two daughters, Coraline and Ashlyn, as her lab rats to test recipes out. Some of her recipes have even been published in National Food Magazines! But as much as she loves to cook, she also loves to take a night off from her kitchen and enjoy eating out and letting someone else do all the work (and the clean up)! Other foodie interests include 8 years of volunteering at the Dorothy Lane Market School of Cooking and being an Alton Brown fan since way back when he wore bowling shirts. 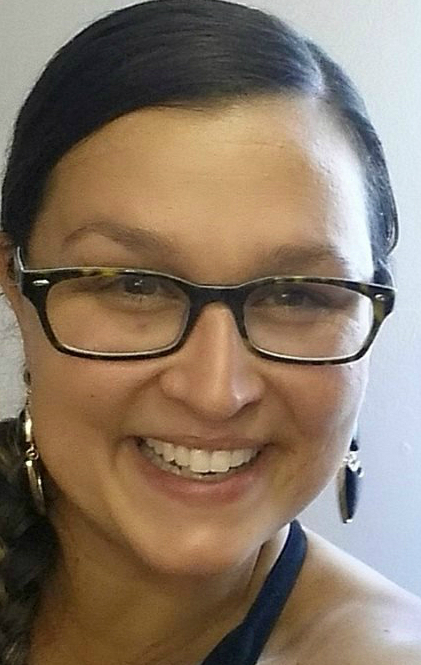 Jackie is excited to be part of the Food Adventures team and is always looking forward to experiencing some new eats! 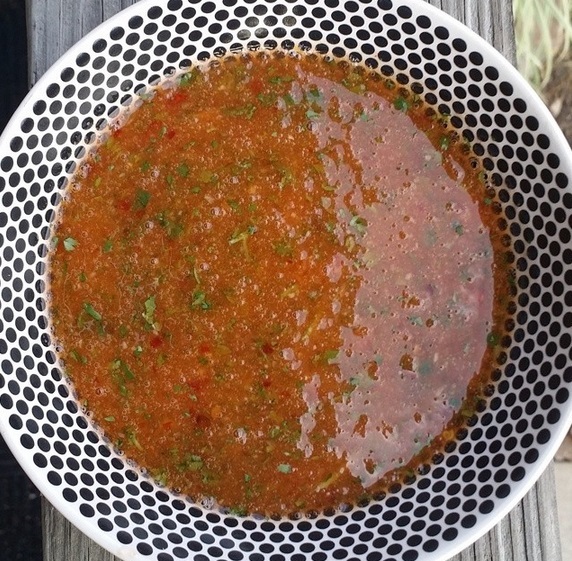 Chef House or “The Sriracha Mamma” is all about the heat. Lover of all things spicy she is constantly in the kitchen coming up with fun new ways to whip up veggies and add a little spice. She is a Dayton native, with lifelong experience in the restaurant industry, working with some of the best chefs in the Miami Valley. She loves to keep it local especially in the summer when beautiful produce is plentiful. She is a true foodie who knows we have a lot to offer in Ohio! LeeAnne is also the owner of Housemade Sauces which specializes in a locally made Sriracha Sauce and a Hot Honey Sriracha Sauce, which have won national awards. Chef House is also the owner of the new “Bad Dog” Hot Dog Cart which features local dogs, local toppings and local buns! She is also involved in putting on the “Night Market” events at the Yellow Cab Building. She is definitely a foodie fixture around town, and an up and coming Chef. A lifelong Dayton resident, his early food influence was in his mom’s kitchen and his dad’s grill. Other incredible food memories are his grandparents’ Italian and German/Scottish cooking. Ragu’s love of food is only matched by his love of sports, travel, karaoke and just needing to be held. An attention seeking missile, Ragu’s favorite foods include Seafood, Italian Food, and Chinese/Japanese cuisine. Other hobbies include overeating and a slight attraction to deep fried menu items. 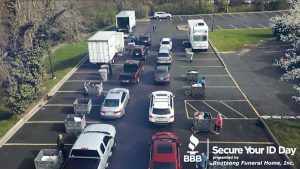 Whether a locally owned business, fine dining, a dive, buffets, fast foods and even a few chain favorites, he enjoys visiting them all with a “no rules” attitude. You can usually recognize him at festivals by the sweaty guy with the food stain on his shirt. Emotionally eating his way through life with the Crew, they leave no plate unturned. 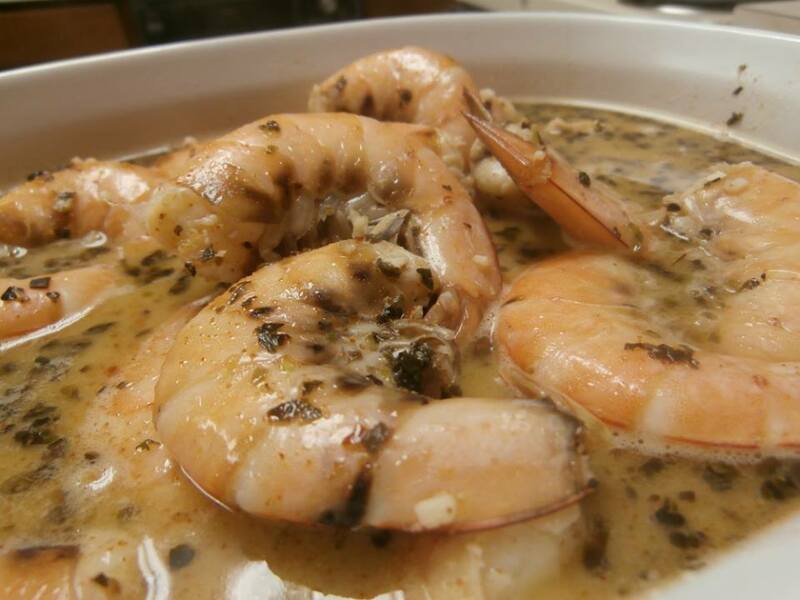 Most recently, his recipes have been featured in the monthly Foremost Seafood Newsletter. This “foodie in his forties” is proud to be involved in dozens of local charity committees. 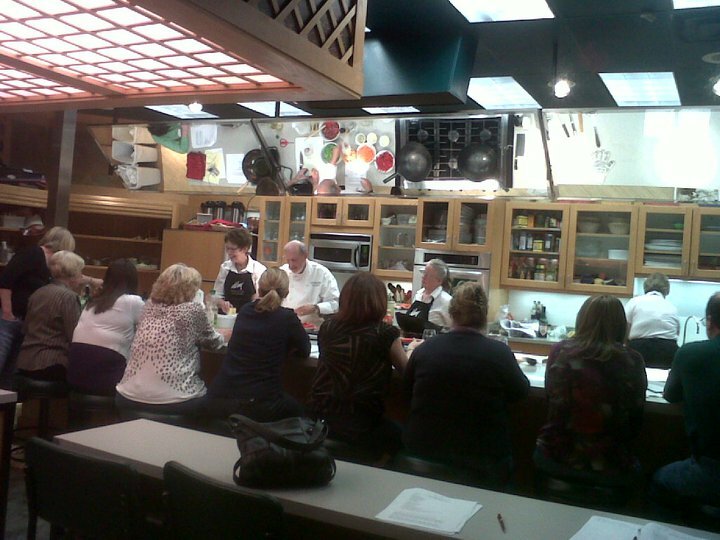 We hope to meet you at our Dorothy Lane Market Party Foods Class, where we will be cooking up a storm. Seats are limited, get yours before we sellout. 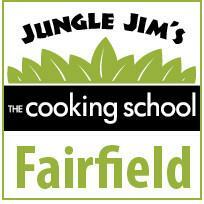 Learn some new recipes,taste some fantastic party eats, and go on a full blown Food Adventure ! 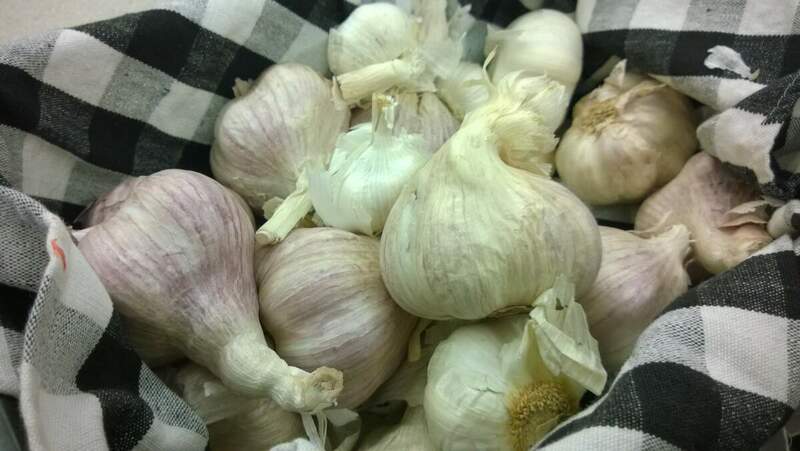 Get Your Garlic On This Sunday! The Menus in concert for FREE Sunday at 5:30pm at Garlic Fest at 2625 County Line Rd ! The Menus in concert for free, 15 Food Vendors, Bocce Ball, Cooking Demos, and Beer. 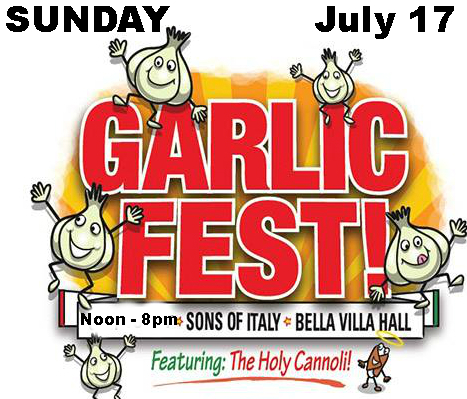 Foodies and hungry people of Dayton, we proudly announce that Garlic Fest is ready for you this Sunday. Dayton Most Metro and Food Adventures has the EXCLUSIVE SCOOP on food and timeline of the day! This is the ONLY spot that will list EVERY food vendor and point you in the way of a great garlic loving time! Come out……. it is in your breath interest ! 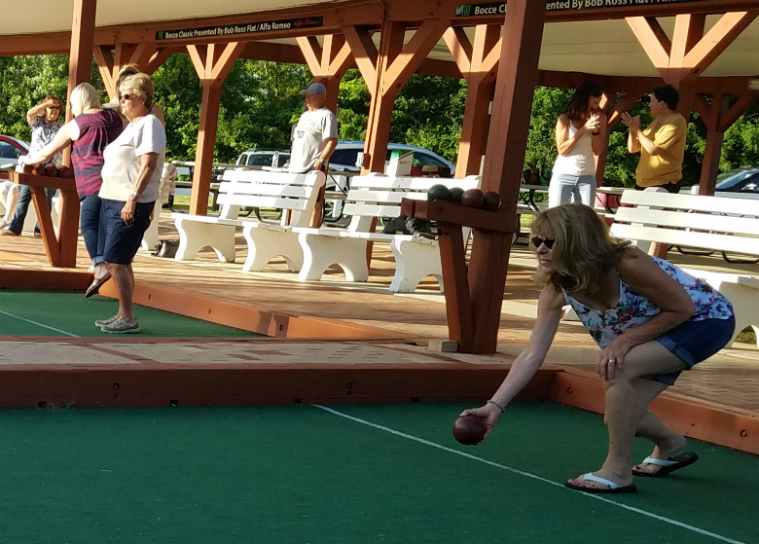 11:30am: The Bocce Classic bocce ball tournament will be underway, and food vendors will be warming up their grills and kitchens. FOOD VENDORS IN ALPHABETICAL ORDER (food booths will be open noon-8pm). 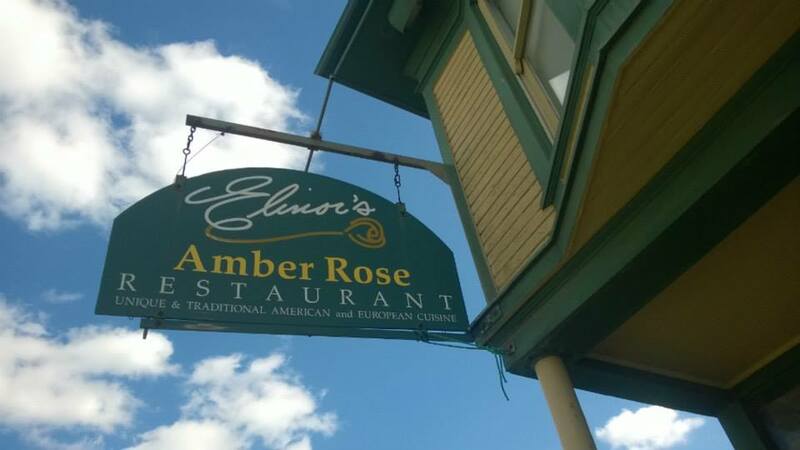 1) THE AMBER ROSE RESTAURANT: Look for the kings of comfort food, to throw a Lithuanian twist into Garlic Fest. Look for some Garlic Cheese Fries and a Mini Garlic Monkey bread creation. It looks like owner Joe Castellano will be showcasing his Italian roots as well! 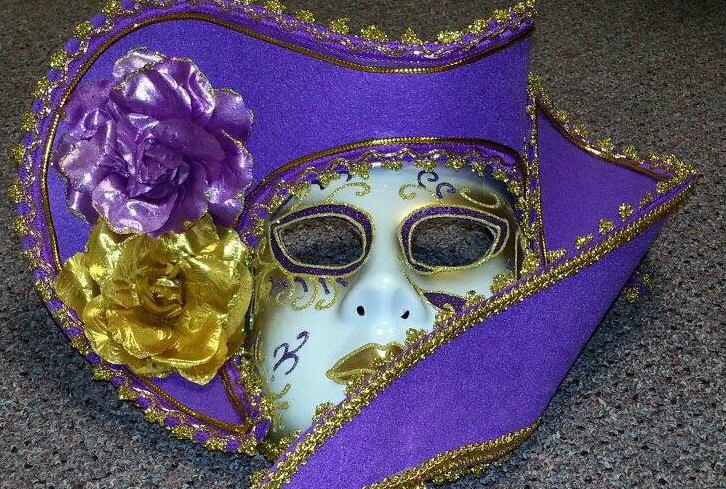 2) BRIXX ICE CO.: What is a festival without Brixx? Chef and owner Chris Bhai always pushes the envelope while hitting home runs in taste. His menu will have Grilled Wings tossed in your choice of sauces including Award winning Spicy Garlic, Sriracha BBQ, or Creamy Parmesan. Also, look for an Italian Bologna Sandwich on Sun Dried Foccocia with Brixx Signature sauce. Garlic Parm Chicken on roll and homemade kettle chips will please too.. The MUST EAT is Garlic Mortadella Mac N Cheese…(((BOOM)). 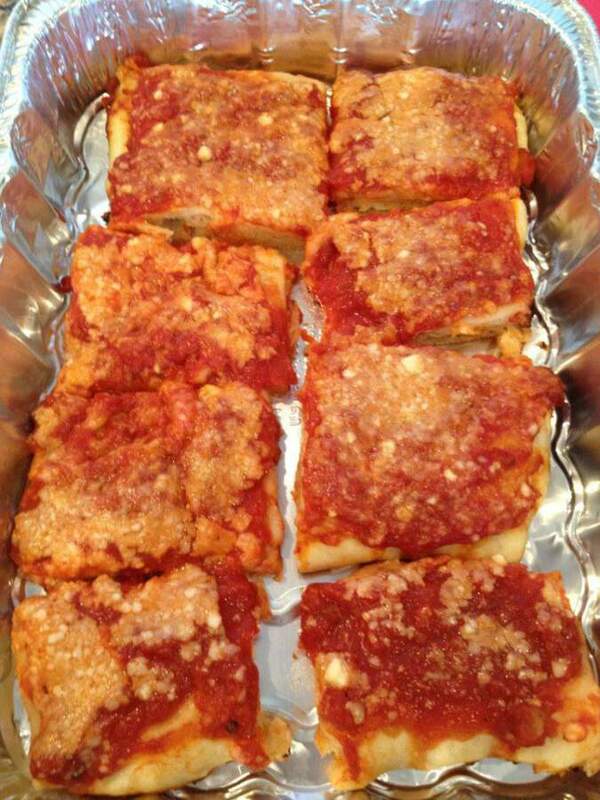 4) GIOVANNI’S: The Italian pride of Fairborn is no stranger to garlic. They promise to feature a Garlic and Gorganzola Stuffed Burger, and Garlic Pulled Pork Sandwich with Coleslaw, among other treats. Our must eats here are the Italian Steamed Clams. 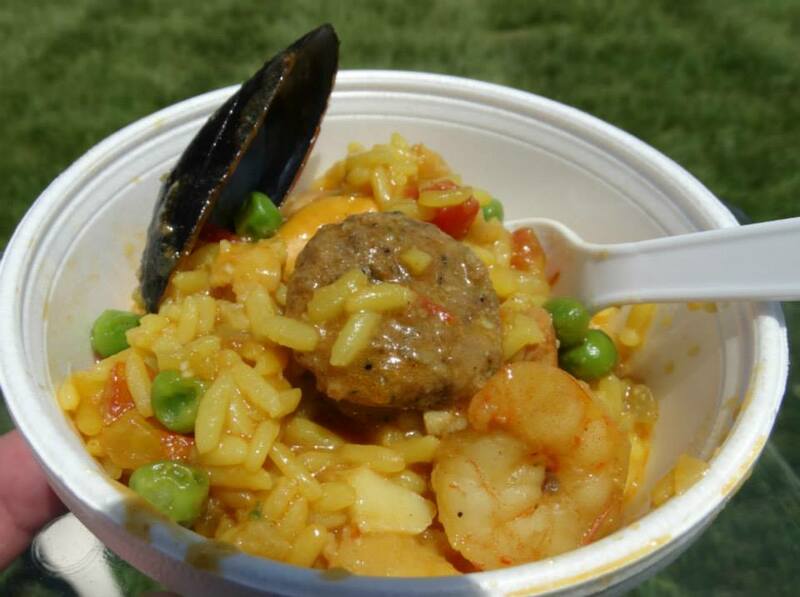 Chef Cassaundra Spaziani is bringing the good to the fest! 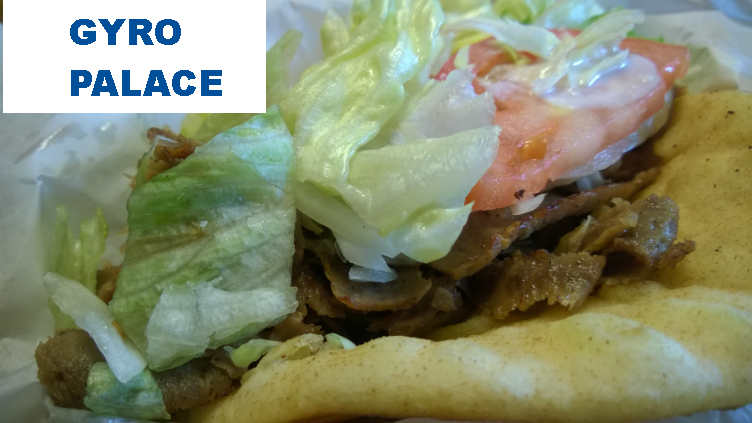 5) GYRO PALACE: How about a Middle Eastern spin on garlic? 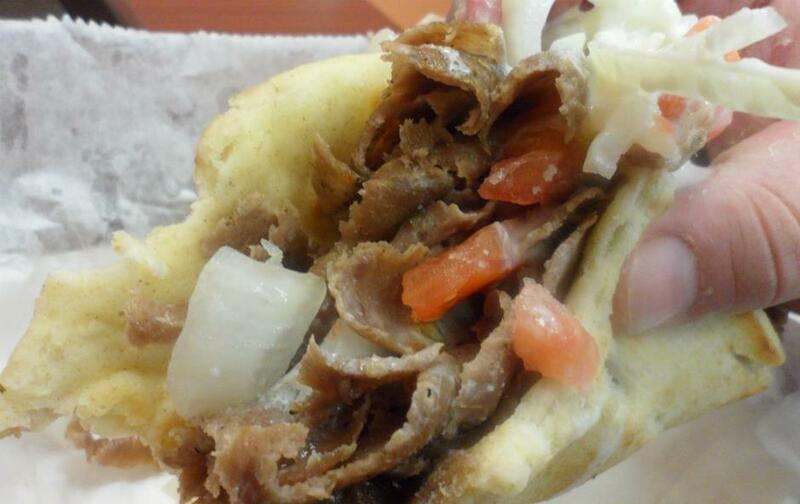 Look now further than the masters at Gyro Palace. They are featuring garlic hummus, chicken shawarma and falafel with garlic sauce. 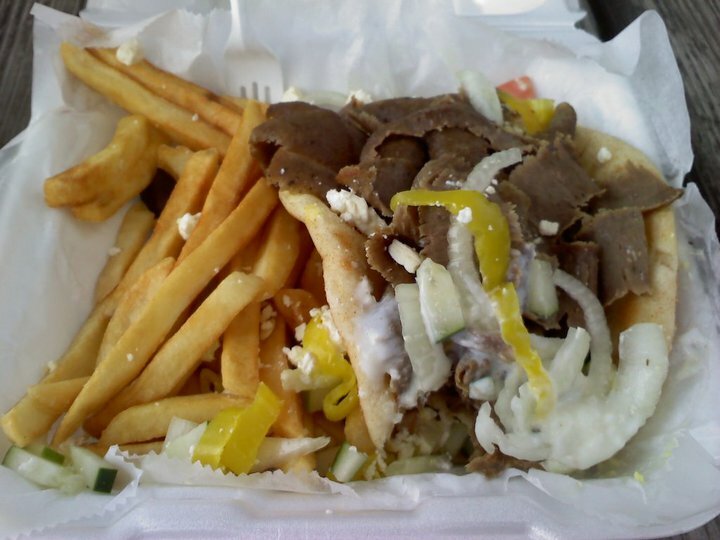 Last but not least, their signature Gyros are MUST EATS, and will have a garlic Tzatki sauce. 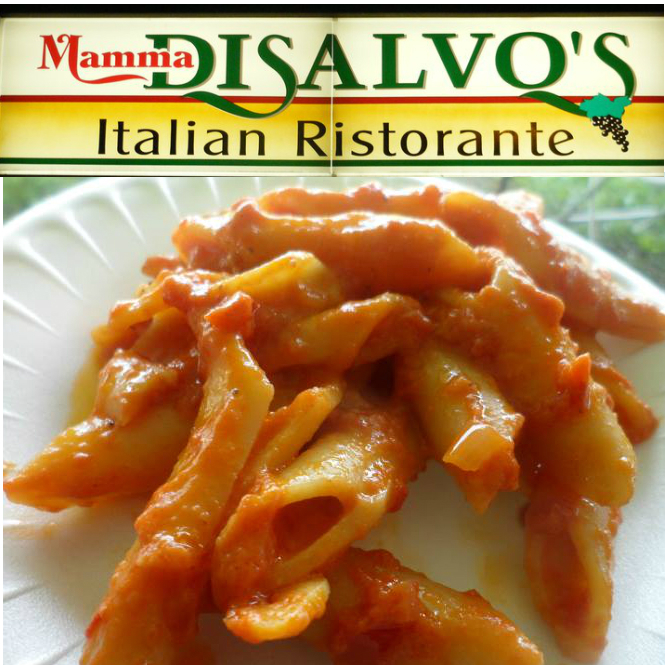 Mamma DiSalvo’s will be on hand with some garlic sauced pasta ! 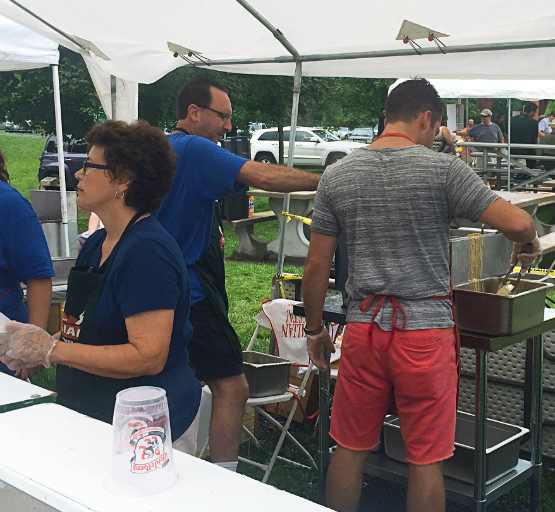 6) KOWALSKI HOTS: The NY Hot dog guy brings his cart to fest with a garlic twist… literally. He will feature garlic butter breadsticks and a Garlic Dog with Sauerkraut option. He will have his regular hot dog menu available too. 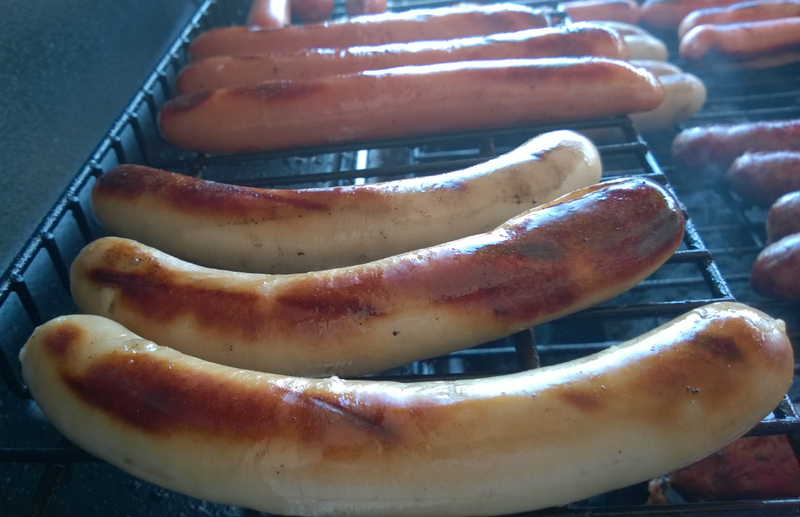 Try the Zweigel Red Hots with coney sauce or the Hoffmans brand White Hots with Hoffman’s Mustard &onions. 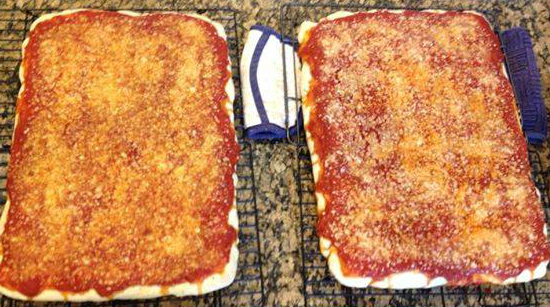 These are Big Ragu and Hungry Jax’s faves. Thank us later. 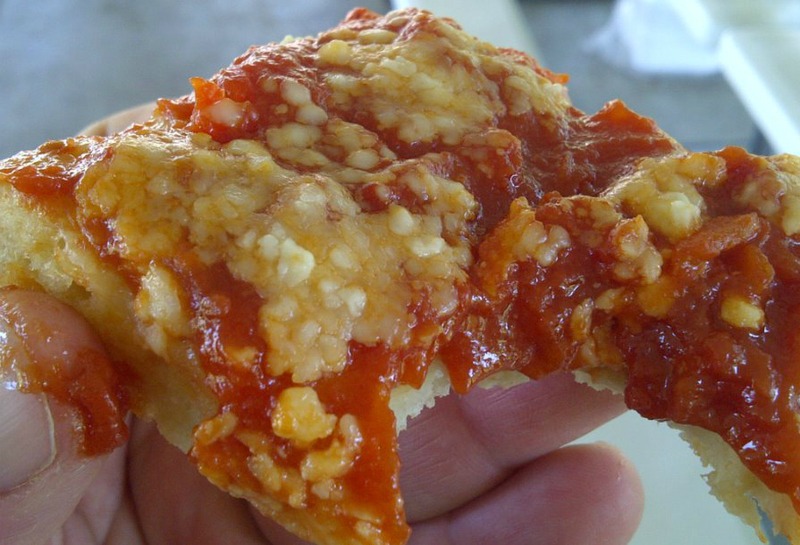 7) MAMMA DISALVO’S RESTAURANT: Nothing says garlic like Mamma DiSalvo’s. 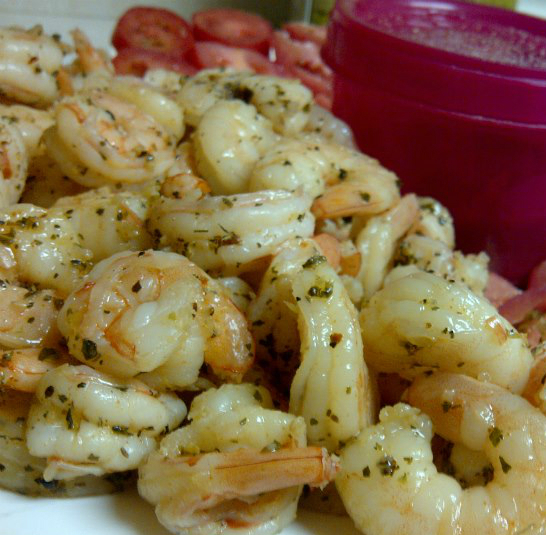 They will be featuring a pasta dish with olive oil, tomatoes, sauce and GARLIC! They may even add a little asparagus. Whatever the dish, make sure you try the family restaurant that has stolen Dayton’s heart for over 3 decades! Bobby DiSalvo’s pasta dishes are MUST EATS ! 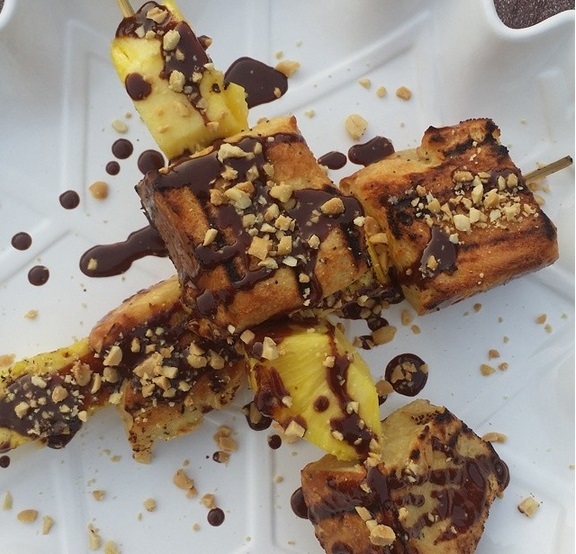 8) MOHAWK FREESTYLE GRILL: Beijing Garlic Street Rolls are the special feature, a menu item you cannot get anywhere in the USA except Garlic Fest this Sunday.We love Chef Aaron and his big bites with big flavors. Our MUST EAT here is the Mohawk Burger. 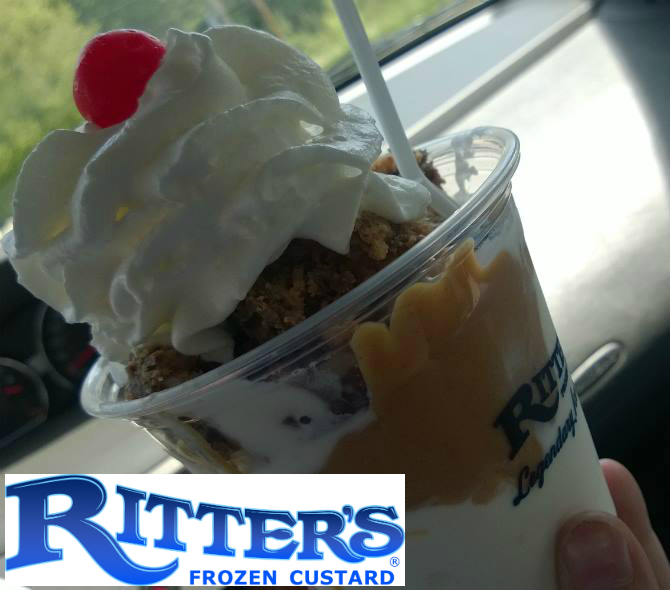 9) RITTER’S FROZEN CUSTARD: He will have his regular, delicious menu available… a great choice in the heat! Look for the incredible sundaes that Daytonians have come to know and love. Our Must Eat is the Peanut Butter and Chocolate Sundae! 10) SCRATCH CATERING: Ahh yes, the inventive vendor, Scratch Catering. What do they have in store? Well just one item will make your mouth water : Flash Fried Sweet Garlic Chili Chicken tossed in Garlic Parmesan Aioli Roasted Pepper and Sweet Garlic “Masa Tots” with Drawn Garlic Butter. Need we say more? When Chef Matt Hayden is around, get ready for some damn good food. The delicious Ritter’s Frozen Custard will be on hand ! 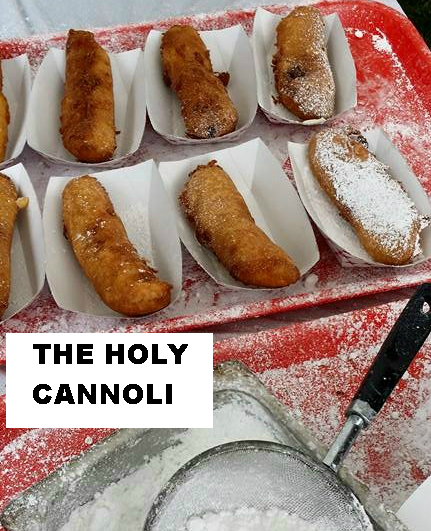 11) SONS OF ITALY’S HOLY CANNOLI BOOTH: It is like bigfoot, because not many have seen the Holy Cannoli. It is a cannoli dipped in a guarded recipe of batter. The cannoli is then deep fried until crisp. It is warm, it is gooey, it feels like you’re breaking the law. Come walk on the wild side and try a holy cannoli, or just try a regular cannoli .. you really can’t go wrong. 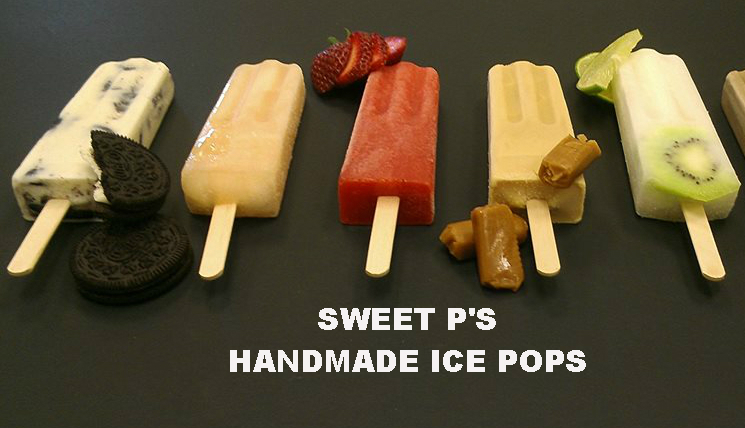 12) SWEET P’S HANDMADE ICE POPS: Perfect in warm weather, look for the one time only dark chocolate garlic pops! Handmade, hand crafted and one of a kind. Try them, you’ll love them. Our MUST EAT – the Nanna Cream pop! 13) TEXAS BEEF AND CATTLE COMPANY: A newcomer to the Dayton area, we are expecting some good brisket and pulled pork, offered in a garlic BBQ sauce ! We like the name and the swag, we are hoping for big things from this meat company! 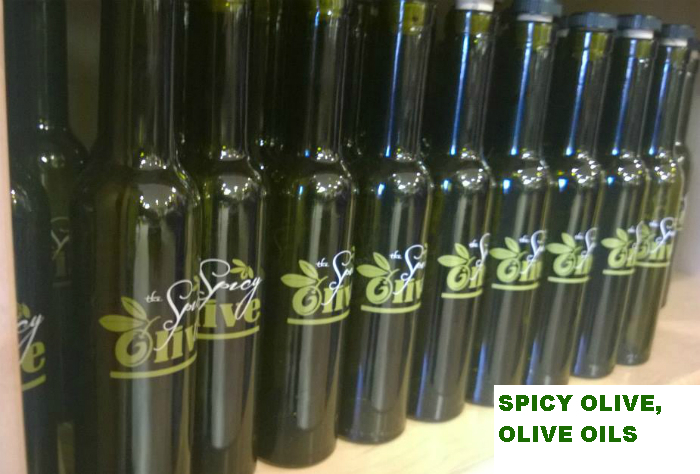 14) THE SPICY OLIVE, OLIVE OIL STORE: Flavor infused olive oils that you will not find anywhere else. These oils and balsamics are some of Hungry Jax and Big Ragu’s favorite products on earth. These incredible olive oils have kicked our cooking up a notch, and are must haves for your kitchen. 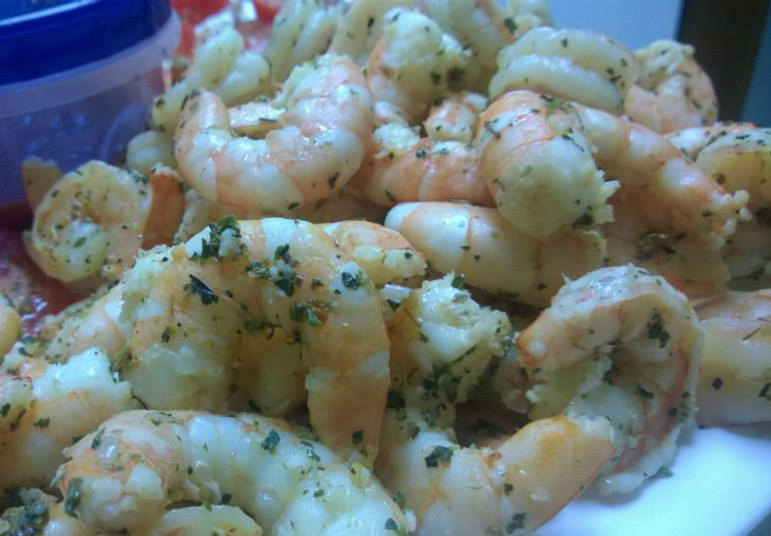 Look for the garlic lemon infused olive oil, along with many other garlic combinations. 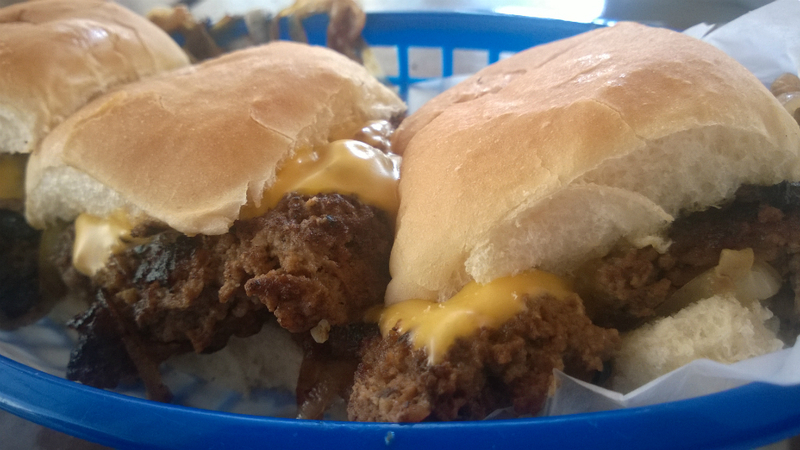 15) VOLTZY’S: The hamburger king of Dayton is here and he is sassy and garlicky. Expect him selling some garlic burgers grilled with onions and topped with cheese. As always, insults are still free. If personality was music, owner Rick Voltzy would be a whole brass band. 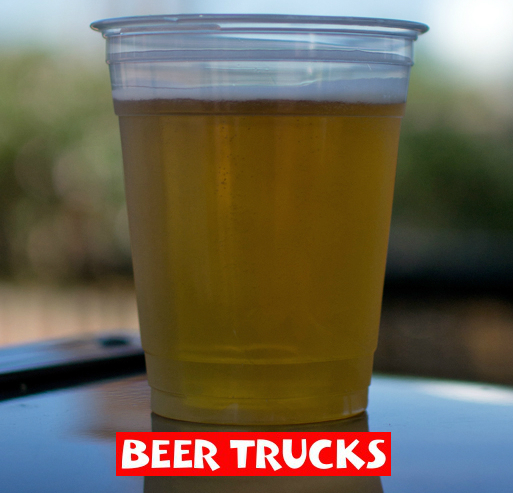 16) THE BUDWEISER BEER BOOTH: The beer truck will be at the fest. 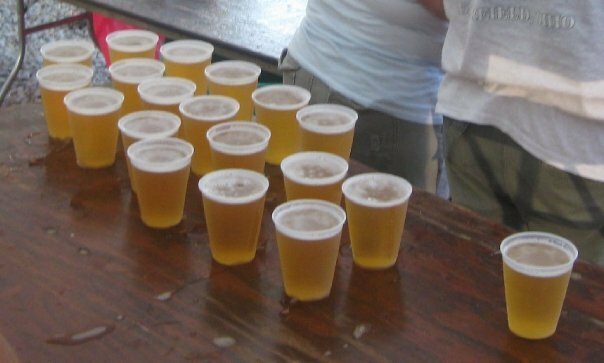 Come grab beer from noon-8pm, must be 21 and over. ***Ask about buying a Garlic Fest Cup and saving money on refills. 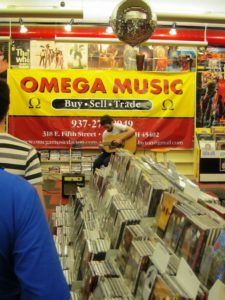 2PM-4PM: ACOUSTIC MUSIC with DENNIS CHRISMAN. 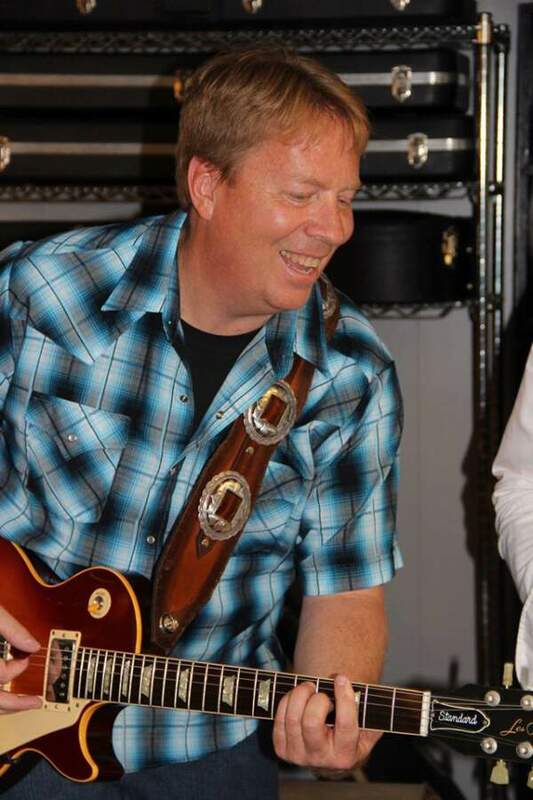 Laid back music, with this local, talented musician is sure to be a treat. Expect some classic rock and even a little country. Oh, and there’s more at 2pm ! 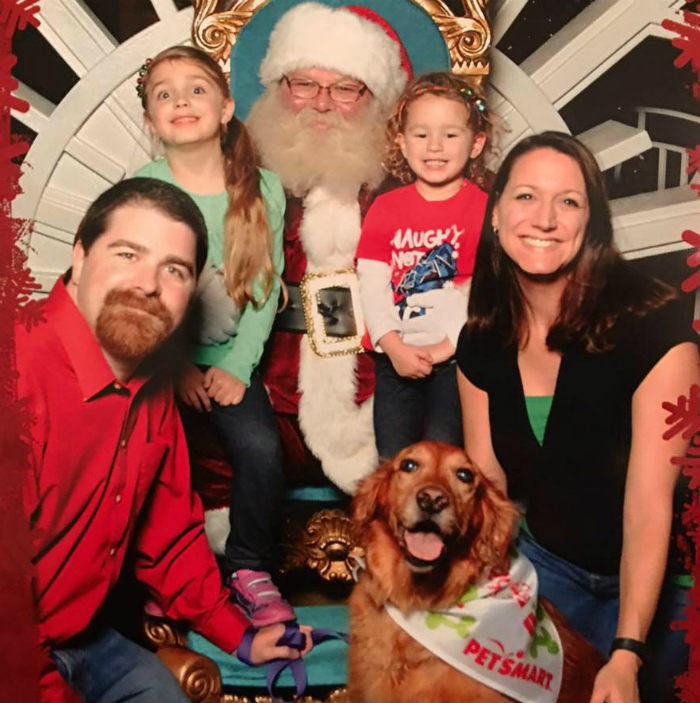 2:00PM: COOKING DEMO with “HUNGRY JAX” JACKIE SCANLAN: This wife and mom of two, hails from Utica, NY and brings her own special influence to the Kitchen. 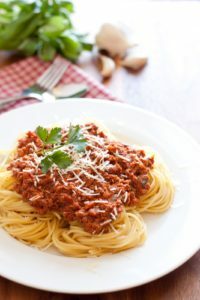 Growing up, this Italian girl was always in the kitchen and now as a mother, she is introducing her kids to culinary fun as well. Jackie has written some published recipes and is a passionate cook who has often volunteered for the DLM School of Cooking/Culinary Center over the years. 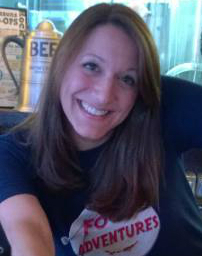 She also part of Dayton’s favorite food blog, “Food Adventures.” Don’t miss her demo! Held inside the Bella Villa Hall, these free cooking demos will include step by step instructions to make some delicious eats with some highly guarded, secret recipes! 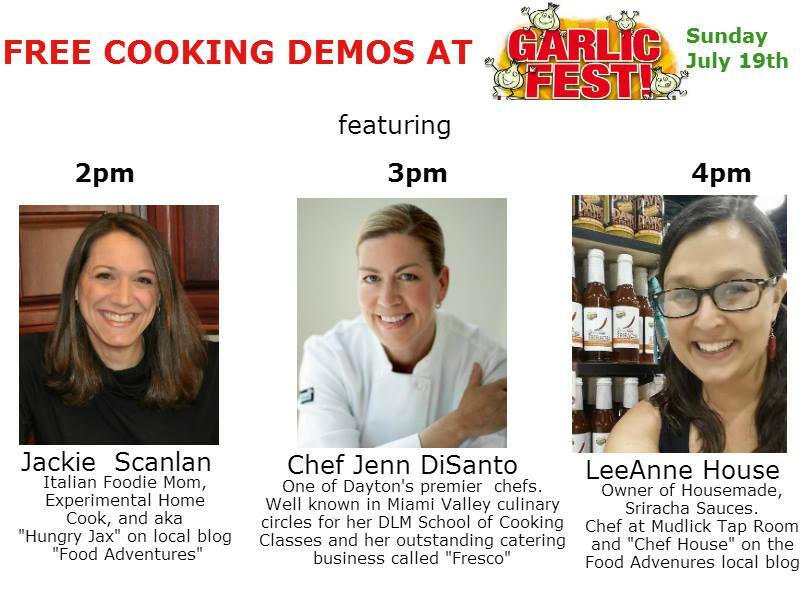 3:00PM: COOKING DEMO with CHEF JENN DiSANTO: Here is your chance to see a pro at work! Regarded as one of the best chefs in Dayton, Jenn owns her own catering business called “Fresco.“ Her style is fresh and her flavors are amazing. It is an educational experience whenever she is around a kitchen. Please don’t miss this demo, it is a rare opportunity to see one of the best in action. Held inside the Bella Villa Hall, these free cooking demos will include step by step instructions to make some delicious eats with some highly guarded, secret recipes! 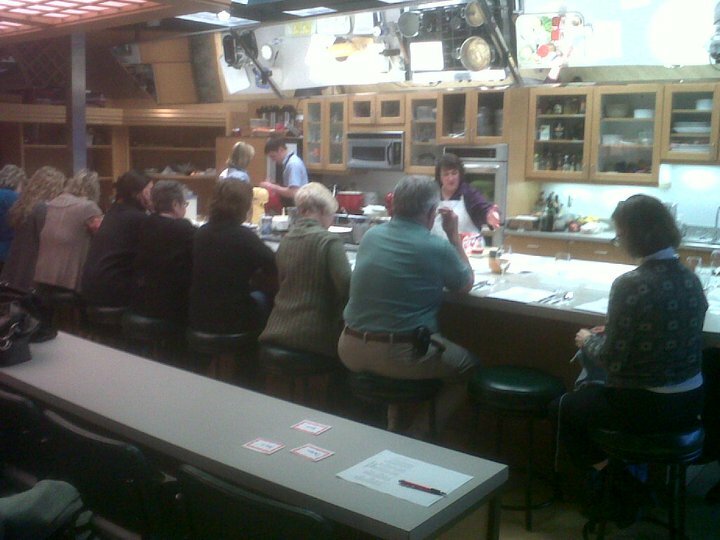 4:00PM: COOKING DEMO with CHEF LEEANNE HOUSE: Time to heat things up! 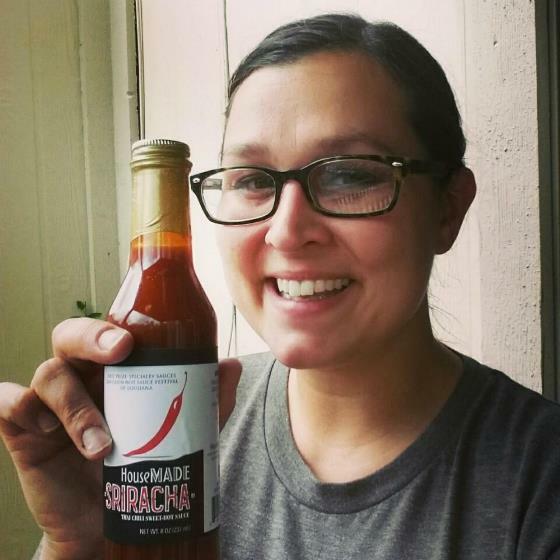 The spicy LeeAnne is known for her locally made Sriracha Sauce and Hot Honey, from her company, Housemade Sauces. Working in the food industry her whole life, she is now Executive Chef of Mudlick Tap House in Germantown. 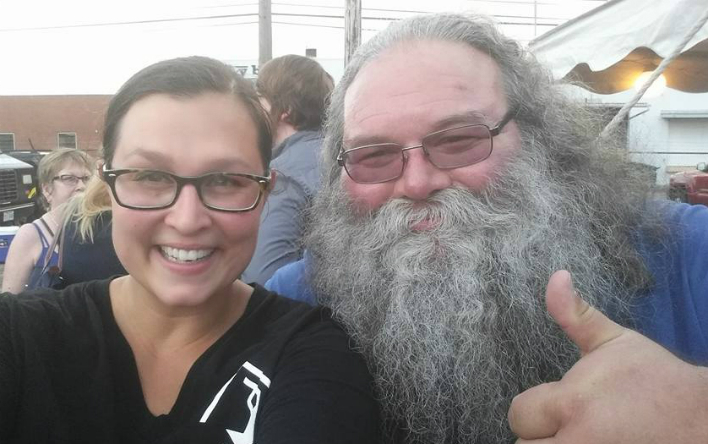 She is also featured in Dayton’s popular food blog, Food Adventures as well as a partner in the new hot dog truck “Bad Dog.”. Take this special opportunity to learn from her experience. In this cooking demo, we bet she will spice things up. Her nickname isn’t “Sriracha Mama” for nothing! 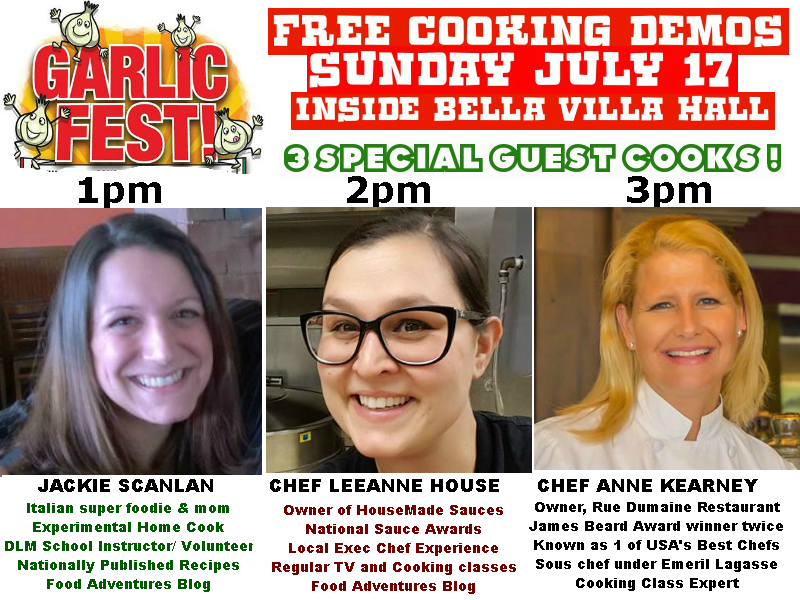 Held inside the Bella Villa Hall, these free cooking demos will include step by step instructions to make some delicious eats with some highly guarded, secret recipes! 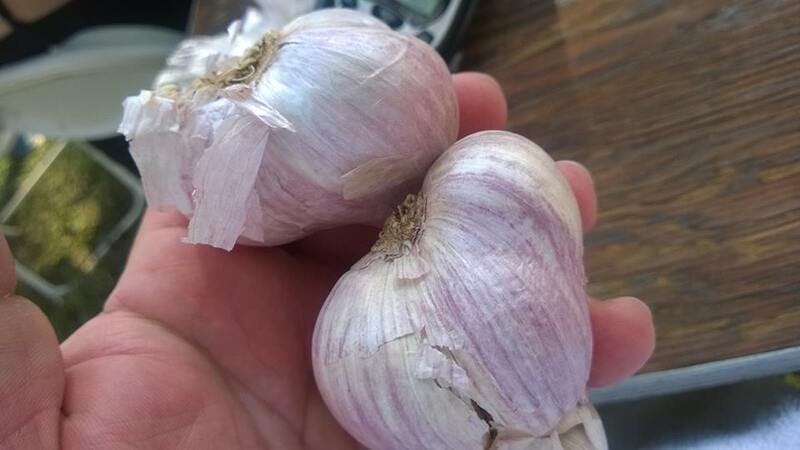 5:00PM: DAYTON’S 2015 GARLIC PEELING AND GARLIC EATING CONTEST: $100 goes to the first place winner of this contest. They will also win the strongest breath.. 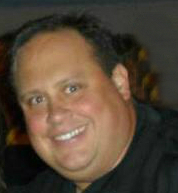 The Big Ragu from Food Adventures will emcee and host this contest on the stage. It will be a battle of the bulbs ! 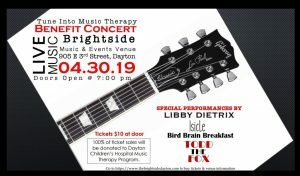 5:30PM – 8:00PM: THE MENUS in CONCERT for FREE !!!!! 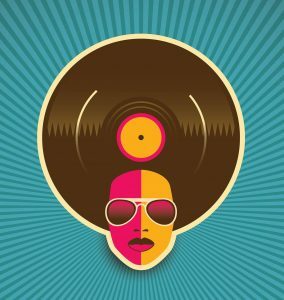 Classic rock, 60’s, 70’s 80’s cover music and more! 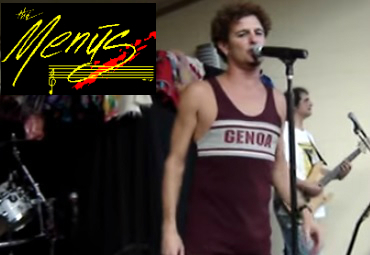 Watch the legendary, Cincinnati band play favorite party hits, while the lead singer kicks a few balloons while rocking the crowd! 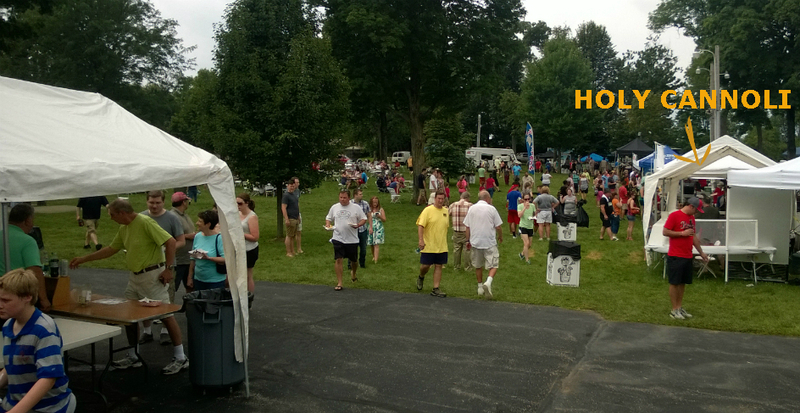 NOTE: You may want to bring a folding chair if you plan to stay for the free Menus concert. Are you a Dayton foodie? Want more Dayton area Food Adventures? 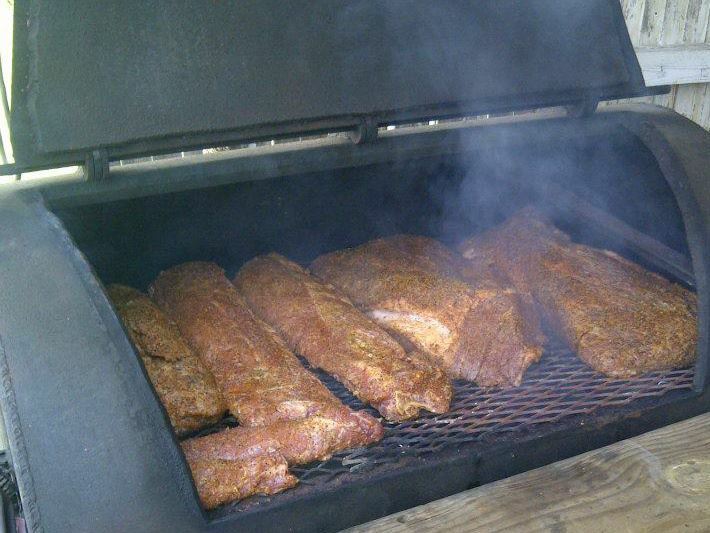 Stay tuned with the best food happenings in the Miami Valley by “liking” us on FACEBOOK HERE ! 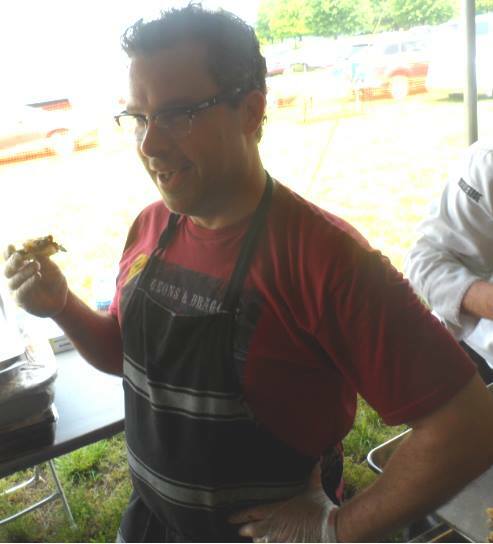 Scratch Catering’s culinary whiz, Chef Matt Hayden will be in attendance ! Nanna Cream Ice pops from Sweet P’s OMG YES ! Come see the Holy Cannoli ! 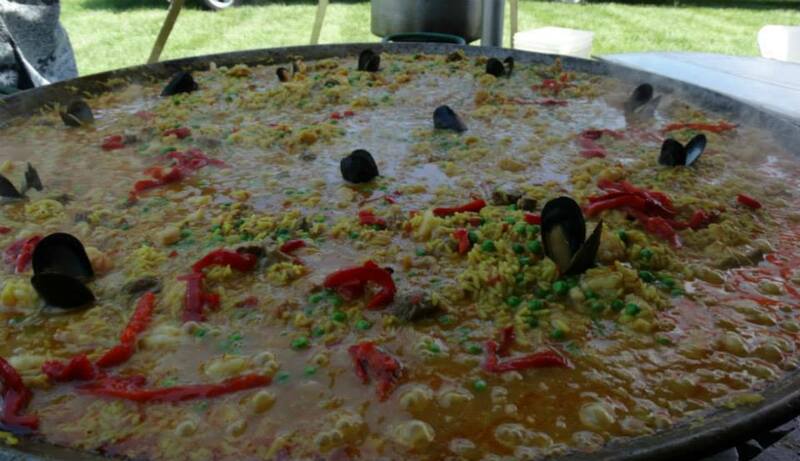 Taste the garlic goodness of El Meson’s Seafood Paella ! The Menus love food and music ! Some Food Adventures are inspiring. Take the case of local artist, scenester and zinester, Tom Watson III. In March 2005, he survived a brain stem stroke. What did he do next? He used art to recover his motor skills and heal his mind. 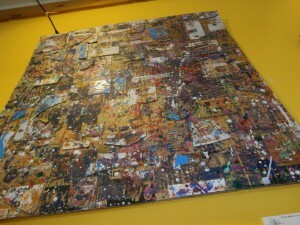 Today some of his collection adorns the walls of Ha Ha Pizza in Yellow Springs for a limited art showing. Tom’s art show, titled “Entropy & Reclamation” will be running though March 2014. The event is named for his initial decay and chaos from the stroke, and his eventual reclaiming of a normal life. We have actually eaten with Tom at HaHa Pizza a couple of times, since his first art show in 2007. We will get into the pizza in a bit, but first some history. 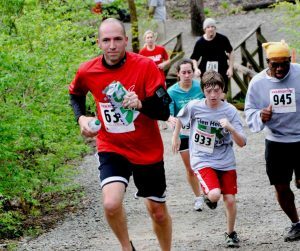 Tom’s story is one of overcoming obstacles, and never giving up. Since his stroke, his life has changed. He used the artwork not only to recover, he finished his degree, he married a loving wife, and has two wonderful sons. Again, an inspiration and not bad for someone who wasn’t expected to live through the massive stroke. He not only lived, he turned the entire ordeal into a learning experience. He tackled his nightmare head-on, using scans of his brain stroke in many of his paintings. You might be cool, but are you “get a National Award from ‘The Fonz’ cool” like Tom ? Tom exhibits his art locally from time to time but in 2011, it received NATIONAL attention, when Tom was awarded the first annual RAISE Award from the National Stroke Association. Watson received the Outstanding Individual Award in recognition of his efforts to advocate for stroke awareness and prevention through his artwork. The awards ceremony was held at the Denver Natural History museum in Denver, Colorado, and Watson was honored with the award by Henry “The Fonz” Winkler of Happy Days fame. Tom’s art is unique and takes you through his mind and recovery. We asked why he uses cardboard instead of canvas for his paintings. His answer was that it all about recycling. Tom had to learn how to recycle certain uses of his brain and muscles, so the cardboard is a message passed down from his struggle. Today, Tom announced he is facing another hardship, as he was diagnosed with cancer in his tongue. With his positive attitude, he is certain to conquer this challenge as well. 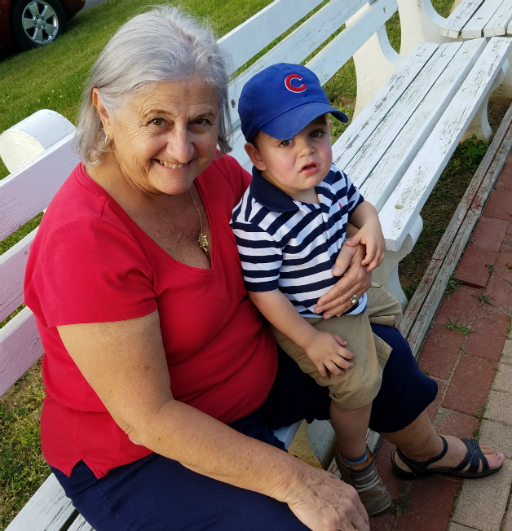 So if you want to support an incredible story of a local man beating the odds, please take some time to visit Ha Ha Pizza this Friday or visit TOM’S WEBSITE HERE. You may find a piece you like. It is more than art, it is a symbol of perseverance. WHY: Showcasing local artist and stroke survivor Tom Watson’s artwork. UPCOMING ART: Tom will also be the featured artist for April 2014 at North South Studios in Wilmington, Ohio. Watson is also in discussions to be a featured artist at X*ACT Gallery in Xenia for the Xenia Arts Council in May or June 2014. Want to support Tom? Then check out the art show or buy some hand-printed, silk-screened T-shirts, available at Urban Handmade store in downtown Yellow Springs. — An Urban Legend says the name “Ha Ha” Pizza came from the sprinkling of a certain wacky weed on the pizza and the effects on customers. Other rumors swirl about “magic mushrooms” being used on 70’s pizzas. — THE SALAD BAR: We recommend the one trip salad bar deal, it will fill you up for sure ! No iceberg lettuce here, just some fresh Romaine Greens. Grab some of the many toppings including Tofu and Garbonzo Beans ! Ohh did we mention incredible in-house dressings too ??? Yeah … they got that. — THE LUNCH SPECIAL: Your choice of a slice of pizza with 2 toppings and one trip to the salad bar for $5.99. Tasty and filling! 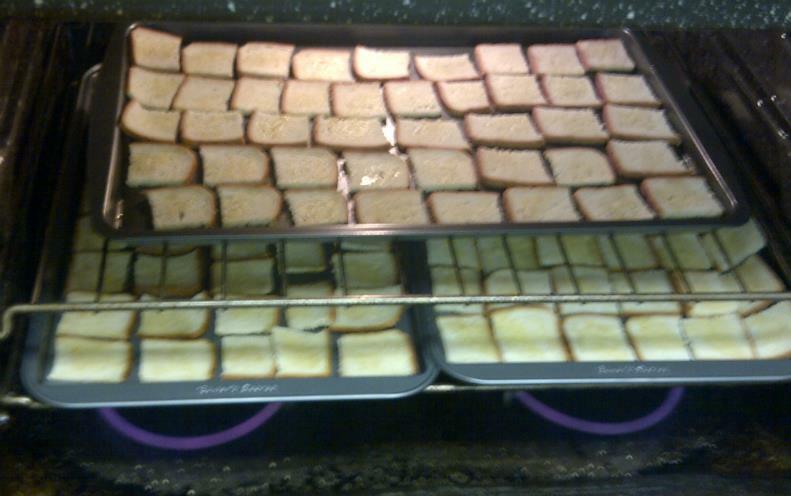 — THE EGGPLANT SUB: Perfectly broiled slices of Eggplant, mozzarella cheese, Parmesan cheese, and Ha Ha pizza sauce. Served with Mikesells Groovy chips, how appropriate ! — THE FALAFEL CALZONE:An interesting Garbonzo Bean mix, with green peppers, onions, HaHa Pizza Sauce and Mozzarella Cheese. 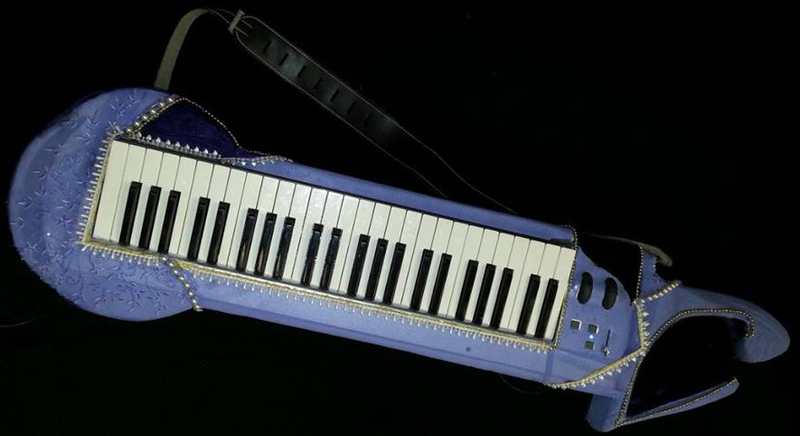 This has to be a one of a kind, right? — ARTICHOKE, SPINACH, PESTO, GARLIC and TURKEY SAUSAGE PIZZA: Want to try a delicious flavor combo? Try these 5 toppings on your pizza pie. The bottom line, is this place is not a legend for nothing. Want a real Food Adventure? Try unique topping choices like bananas, water chestnuts, zucchini and falafel. The Big Ragu and Crew are gonna try an anchovy and smoked oyster topping pizza next time for sure! Won’t you join us for a bite and a laugh at HA HA PIZZA??? Remember, we are not food critics, we are just 2 guys that love to eat. Want more from FOOD ADVENTURES? Then check out these “Miami Valley Foodies” and like them on Facebook HERE ! Check out our photo gallery below, showing off some of the numerous tasty meals we have had at Ha Ha Pizza. Have you been to Ha Ha? What is your take on local artist Tom Watson’s journey? Please comment below and be heard. 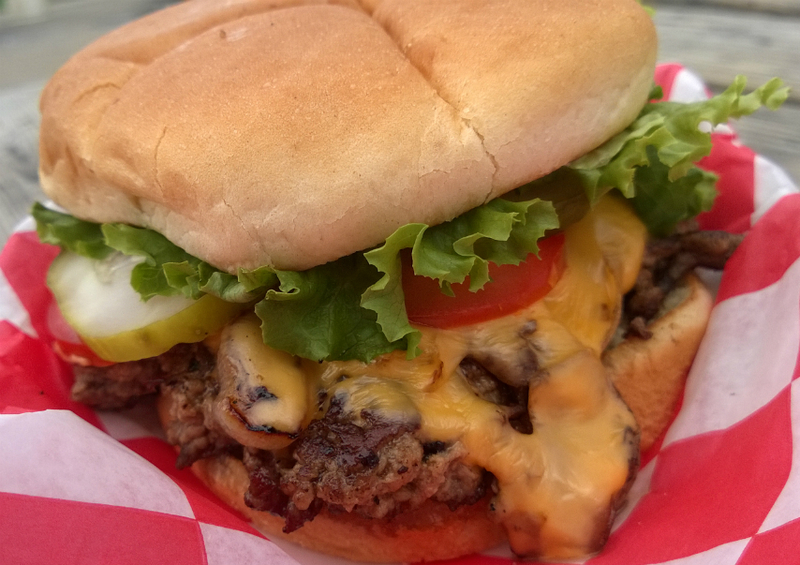 Want to win a $20 Gift Certificate for your own Food Adventure to Fricker’s or Rooster’s? 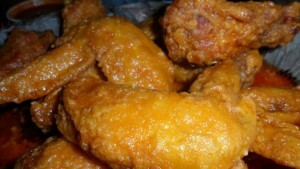 Today these perennial sports bar favorites go beak to beak, feather to feather, cluck to cluck. Which one do you like better? 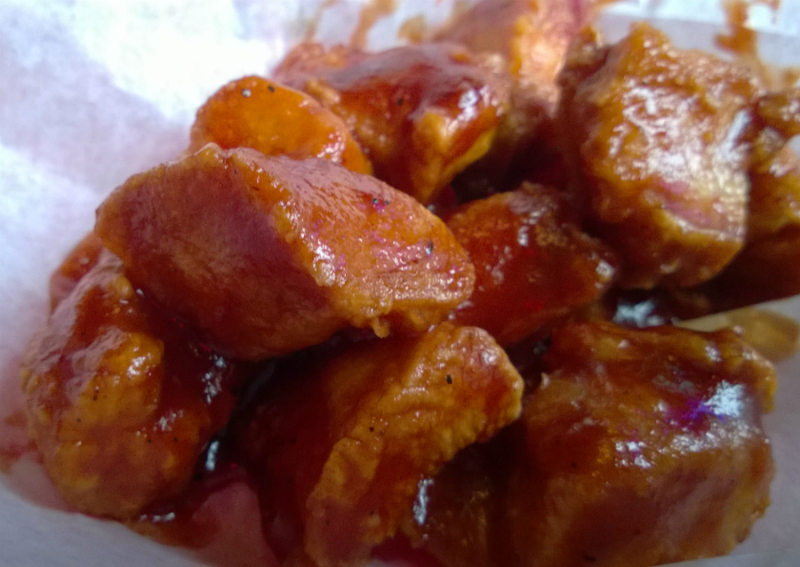 You can’t deny local wing kings Fricker’s and Rooster’s have been enjoying success in the Miami Valley for decades. Rumor has it that the Fricker brothers had a falling out. As a result, one of the brothers went off on his own and opened Rooster’s restaurant as a result. The family feud was Dayton’s gain. — Fricker’s offers Ribs. And guess what, they aren’t bad for a casual sports bar! — Fricker’s special’s are superior. They have 40 cent boneless wing specials on Monday nights and 40 cent traditional wings on Tuesdays. Fricker’s offers a sirloin steak for only $5 on Wednesday nights and $5 chicken chunks on Thursdays. Also kids eat free everyday. Saving money is good. — Cheaper beer prices at Fricker’s. They feature the $2.42 large domestic drafts. Nothing like a cold one and big screen football. 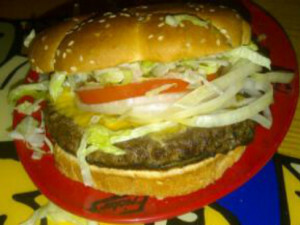 — The burgers at Fricker’s are bigger. Quite frankly we think they are better as well. — Rooster’s has “Dumpster Fries” which we think is the best appetizer found on either menu. Try them for a taste of awesome indulgence. — Rooster’s has a better selection of Sandwiches. More choices, more options, especially for those counting calories. 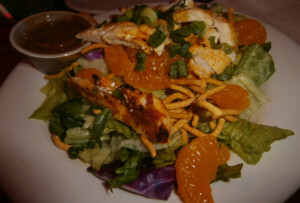 — The salad offerings at Rooster’s are more complete. For those trying to eat healthy, you will have more options at Rooster’s. — Rooster’s pizza’s are better. Again, more options for toppings, etc. If you haven’t eaten their pizza, you will be pleasantly surprised. — Rooster’s gets the edge in soups. Something you may not know is that both places have some incredible chili and pretty good New England Clam Chowder. We have been eating those as a start to a Food Adventure for years. 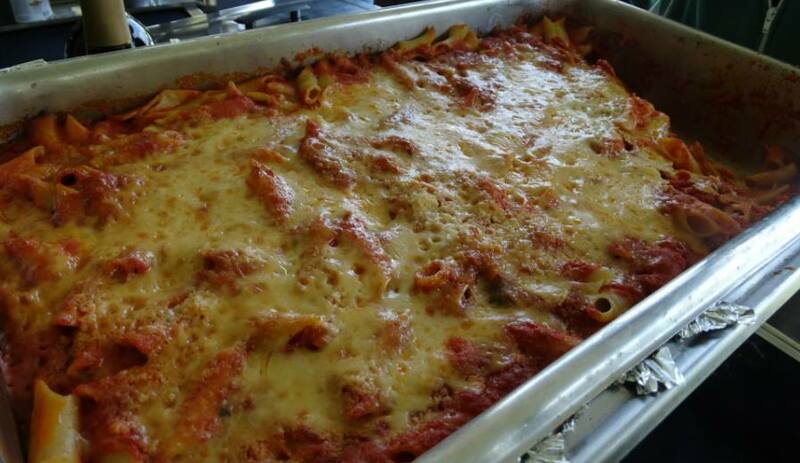 Food Adventures with The Big Ragu and Crew gave their opinion -now it is YOUR TURN ! Who’d you rather get it on with: Frickers or Roosters? COMMENT BELOW AND SETTLE THIS BATTLE OF THE LOCAL WING SPOTS !!! Visit the often imitated, never duplicated Food Adventures on Facebook by clicking —> HERE ! We are not food critics, we are just foodies that love to eat !! 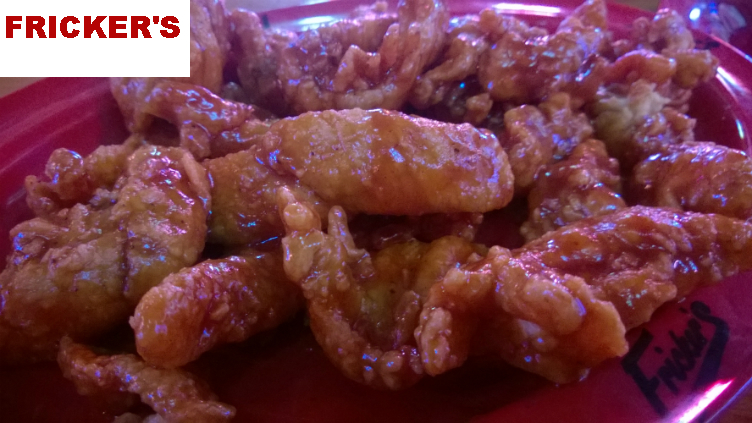 Browse our photo gallery below from our many Food Adventures to Rooster’s and Fricker’s ! !